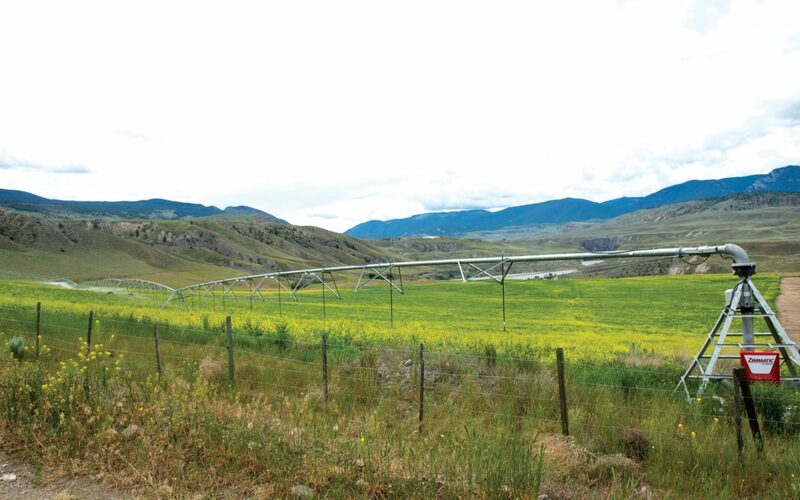 This multi-revenue agricultural land, which encompasses 573 acres, is situated in one of the best semi-arid growing climates in the province. 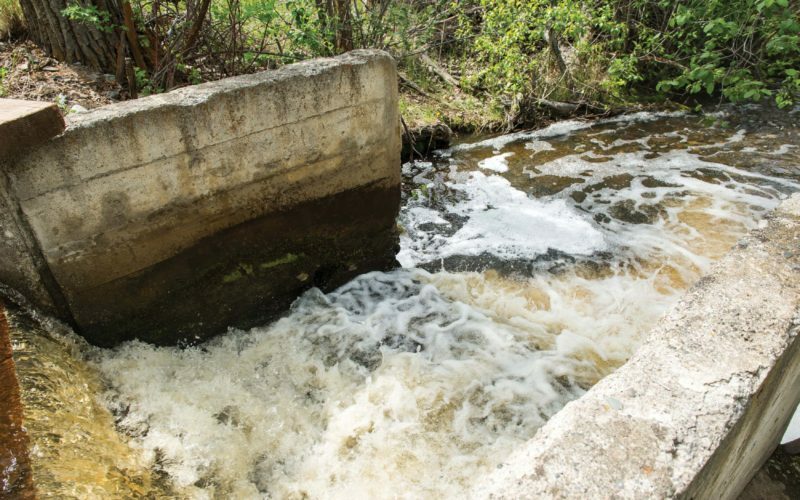 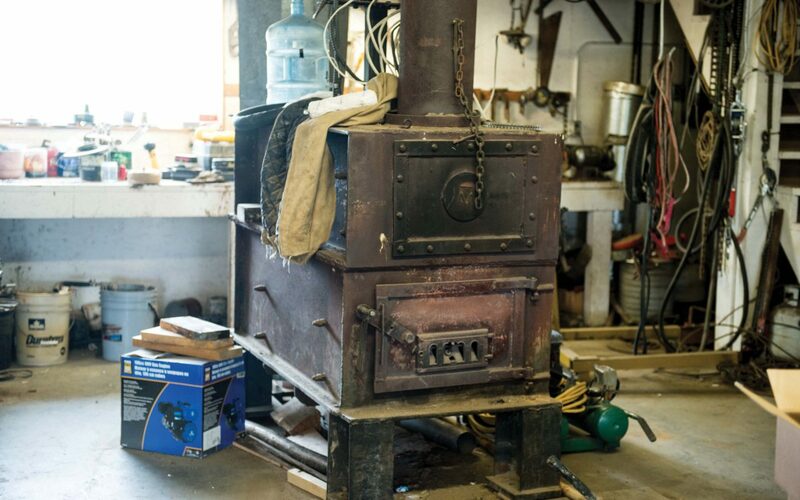 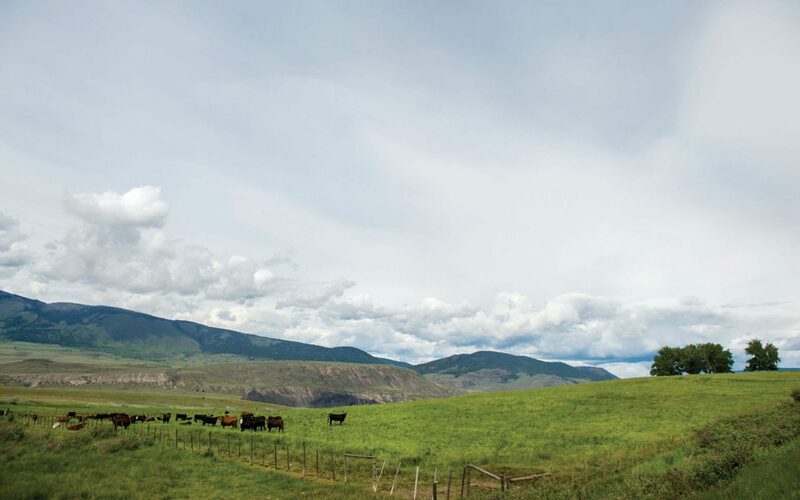 The nutrient rich Thompson River valley soil produces bountiful crops and vegetable yields, and cattle and animals flourish with the long growing season and mild winters. 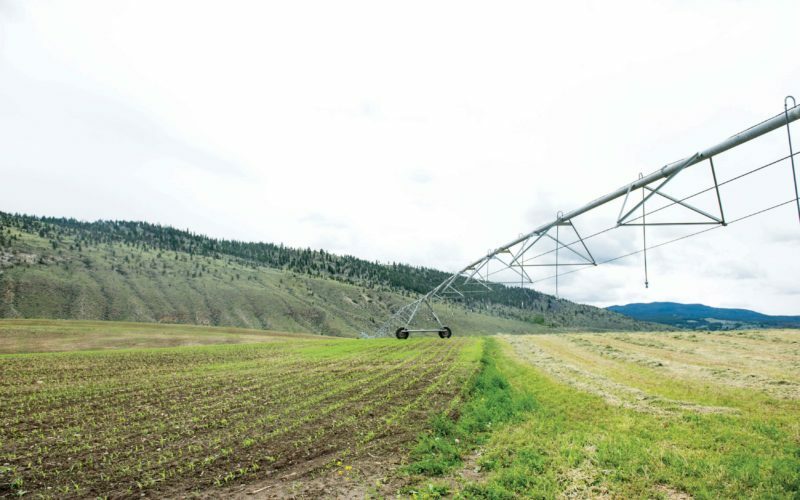 Low maintenance year-round pivot irrigation is supplied by a gravity fed water system that includes water rights to Barnes and Willard Lakes, reducing pumping costs to a bare minimum. 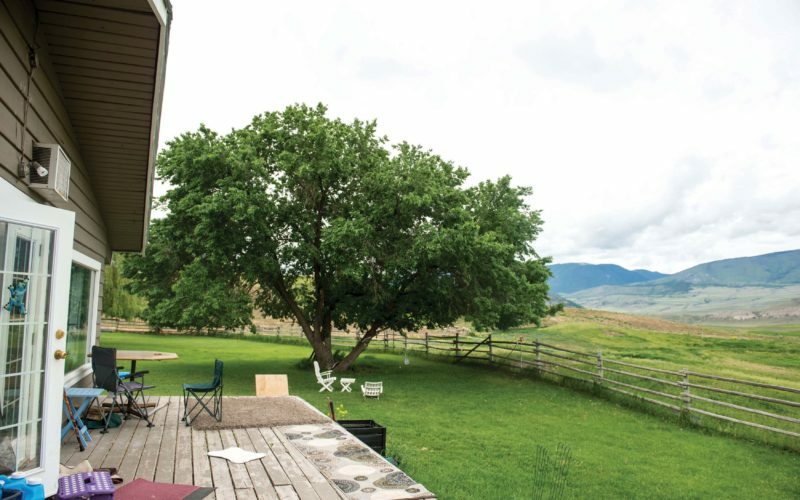 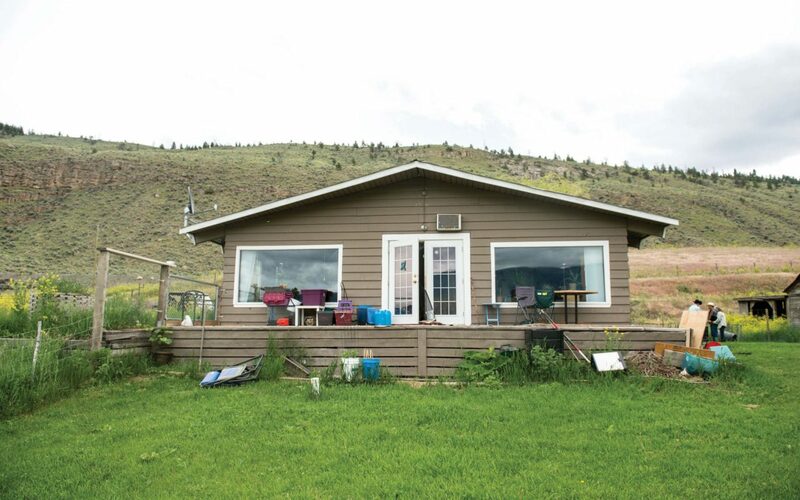 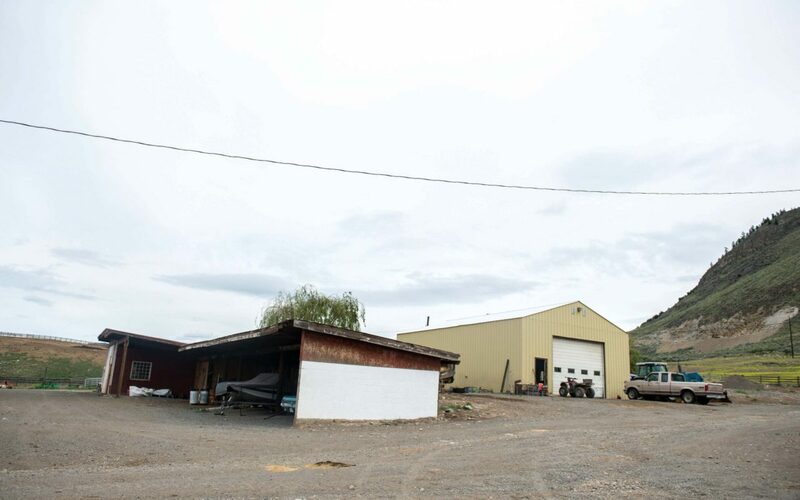 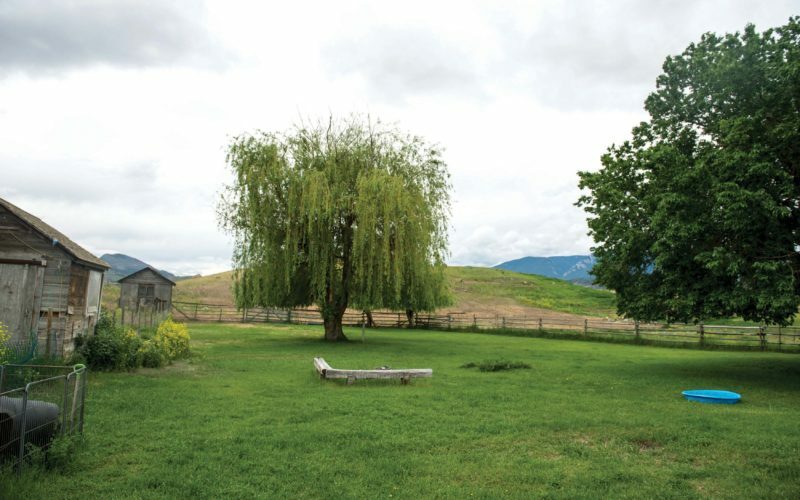 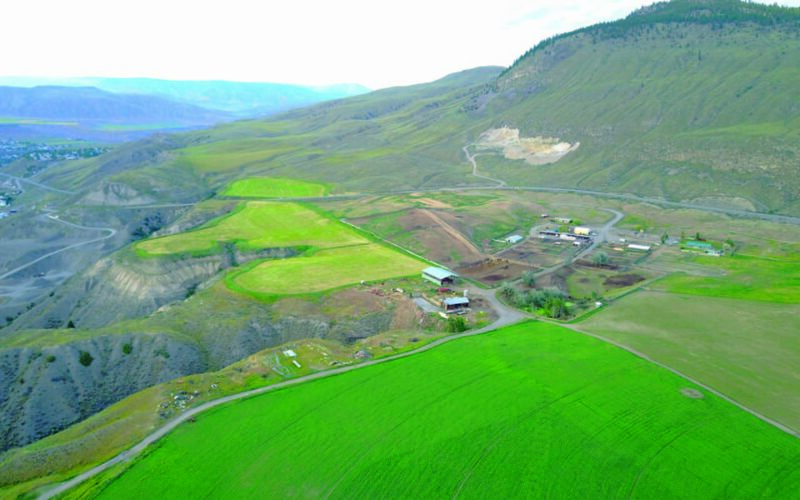 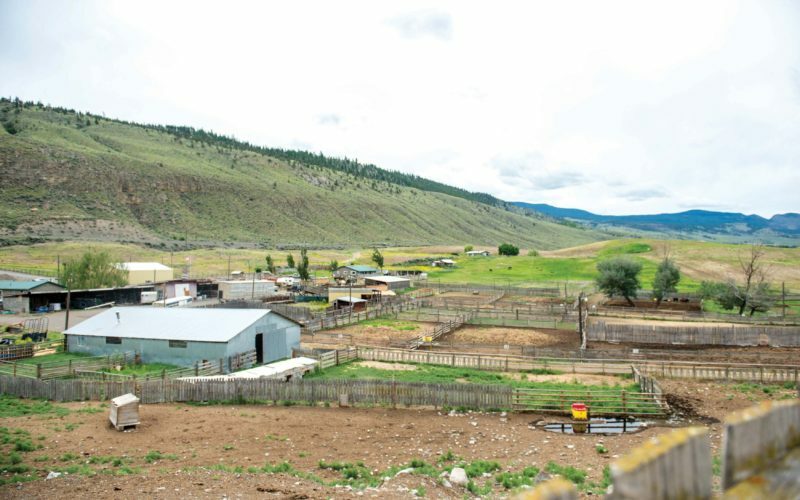 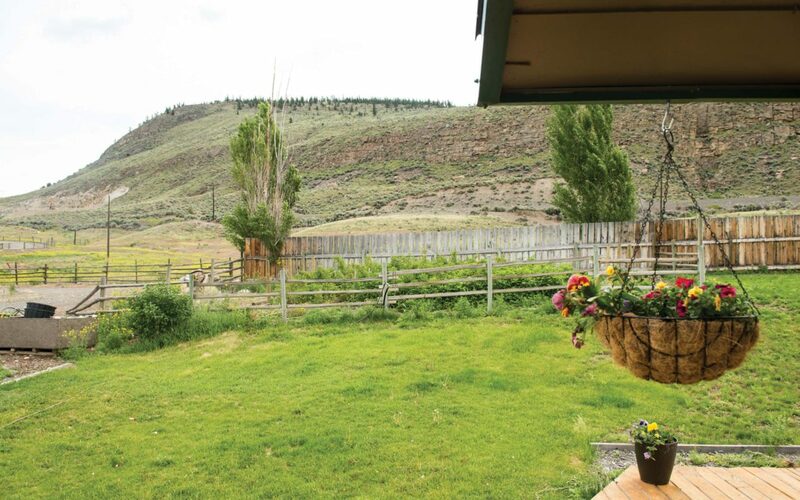 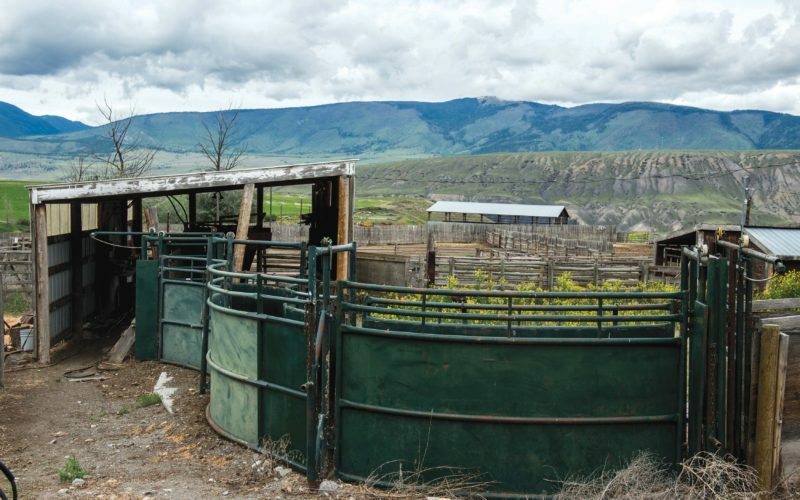 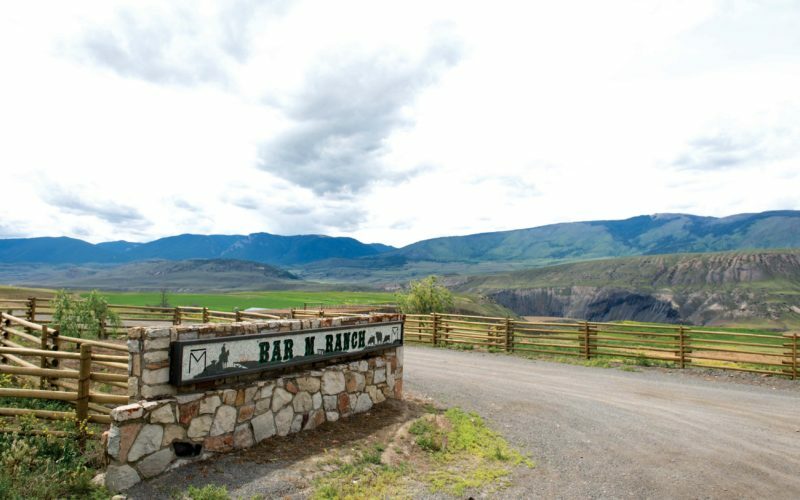 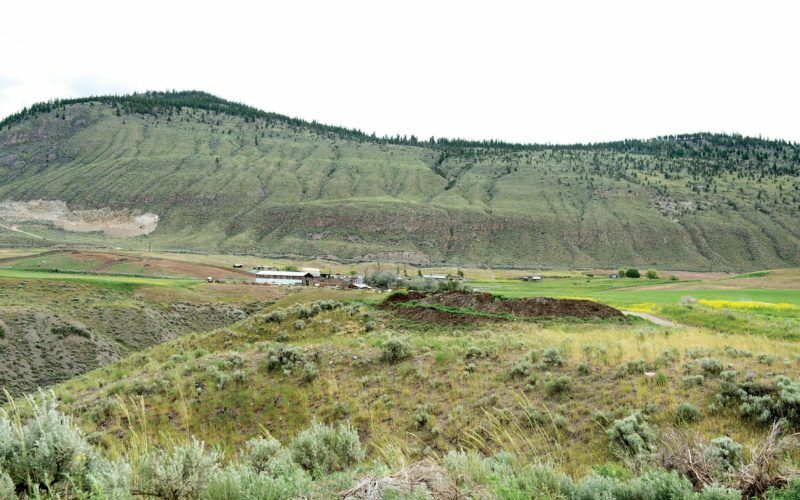 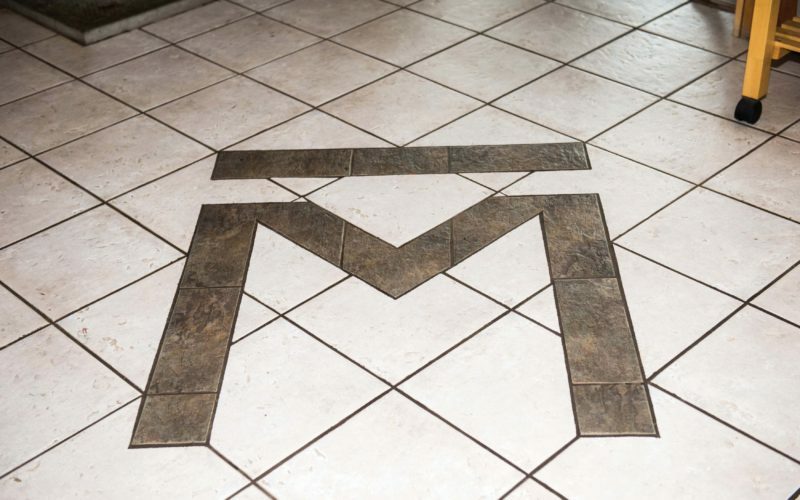 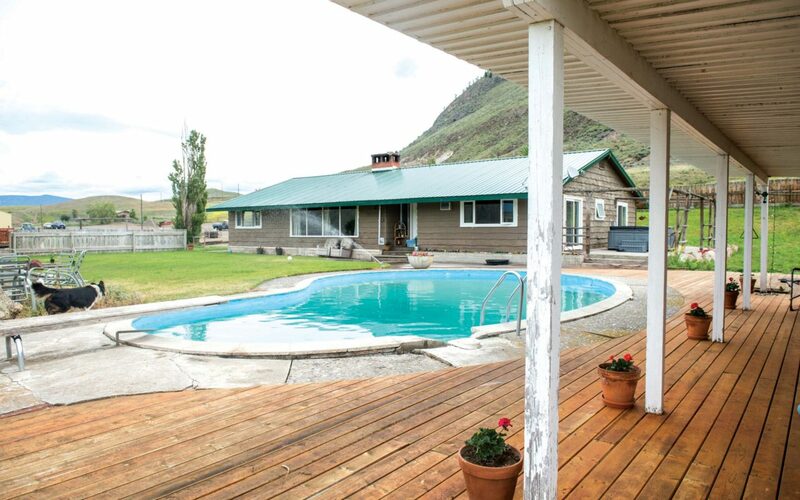 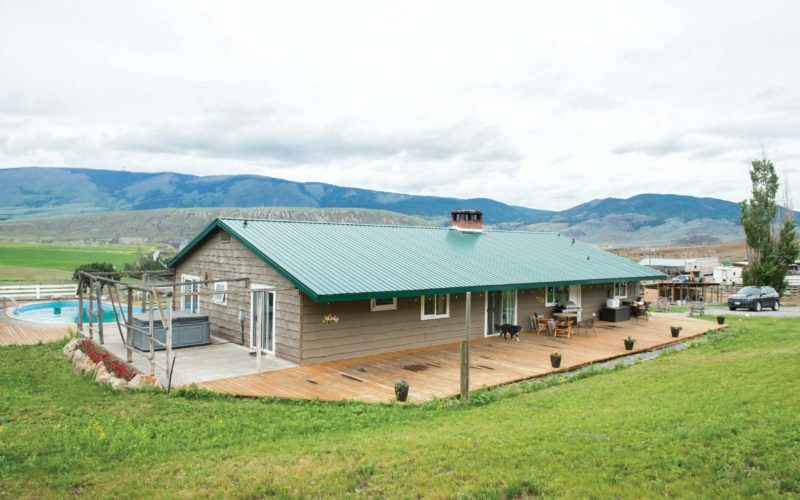 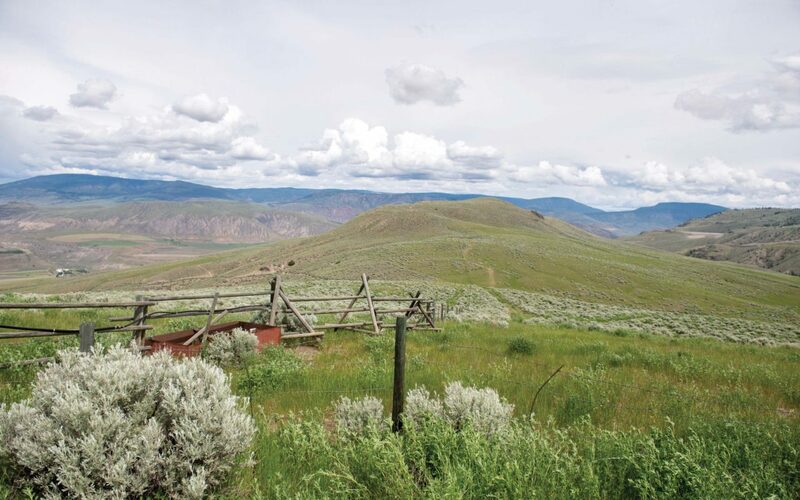 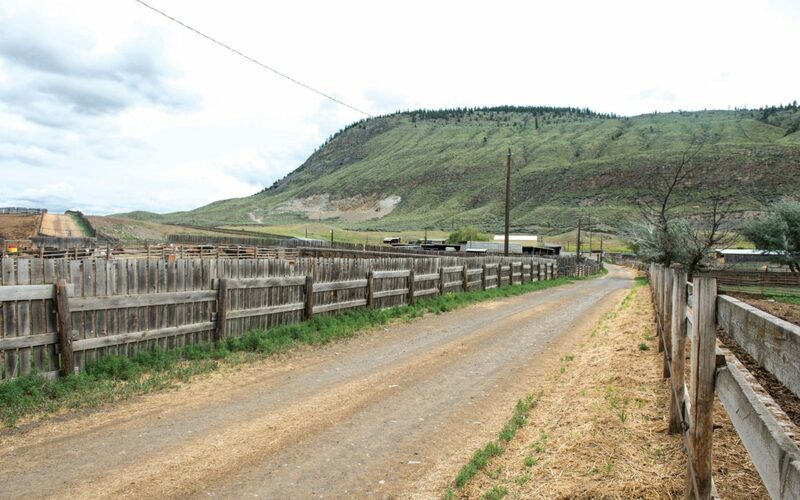 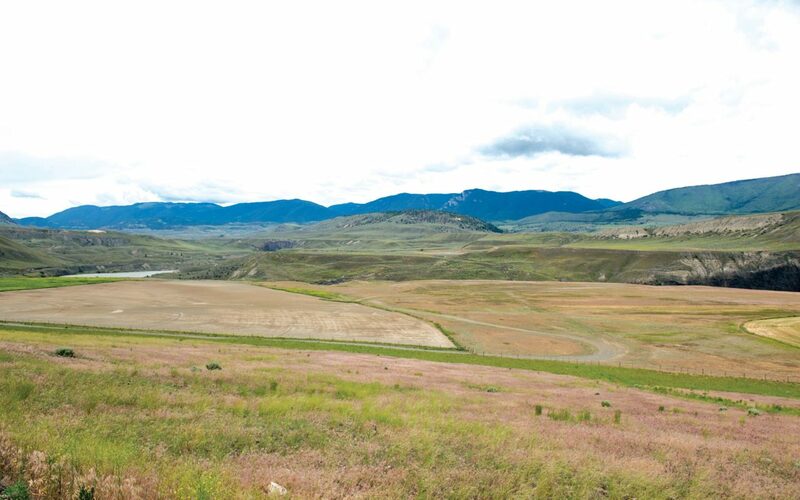 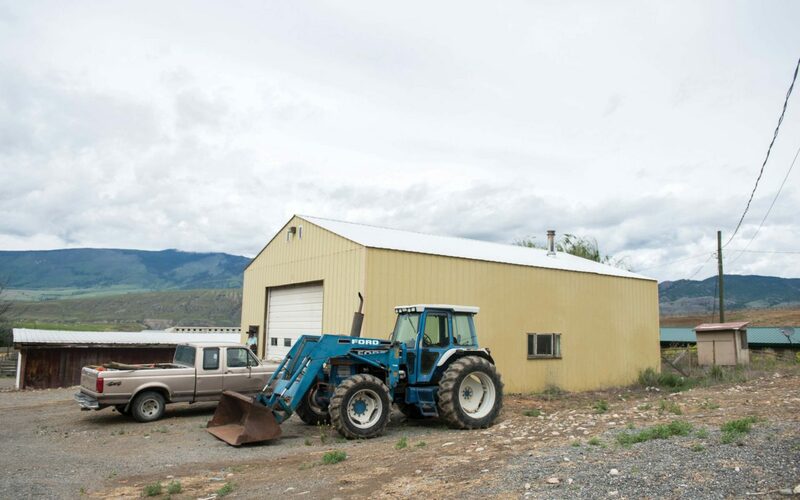 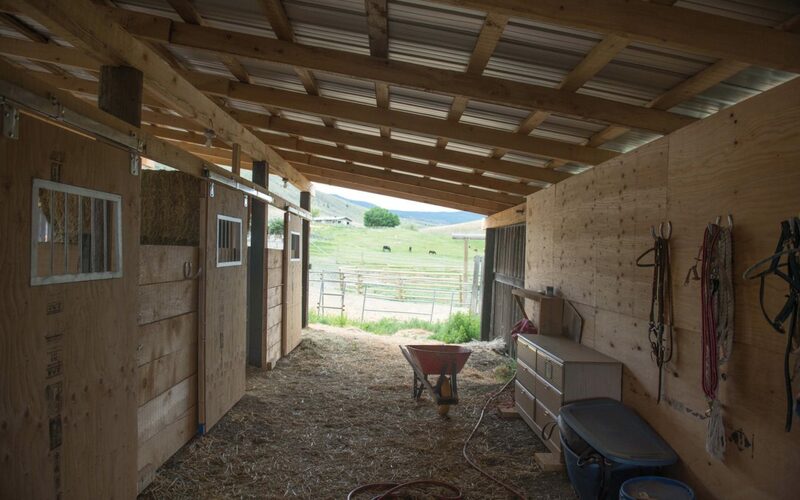 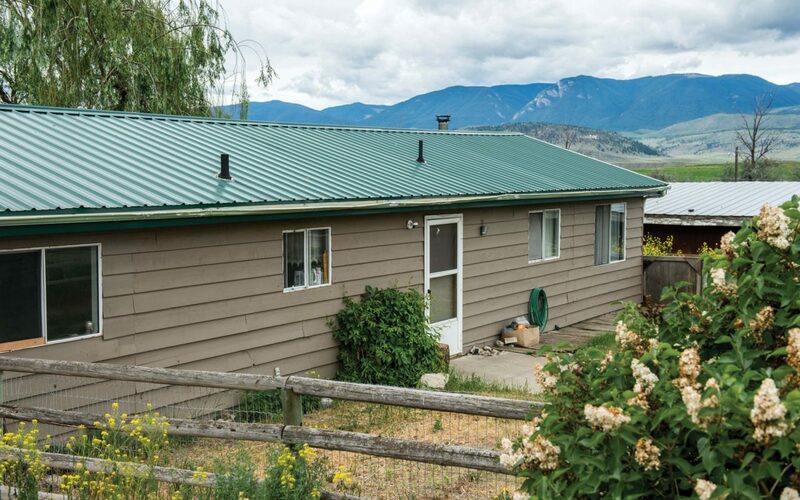 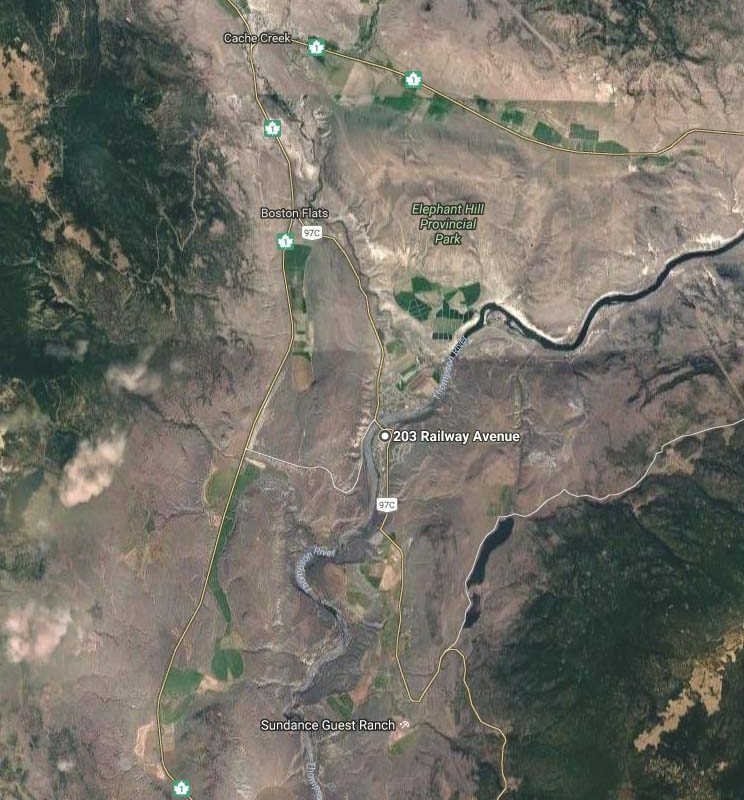 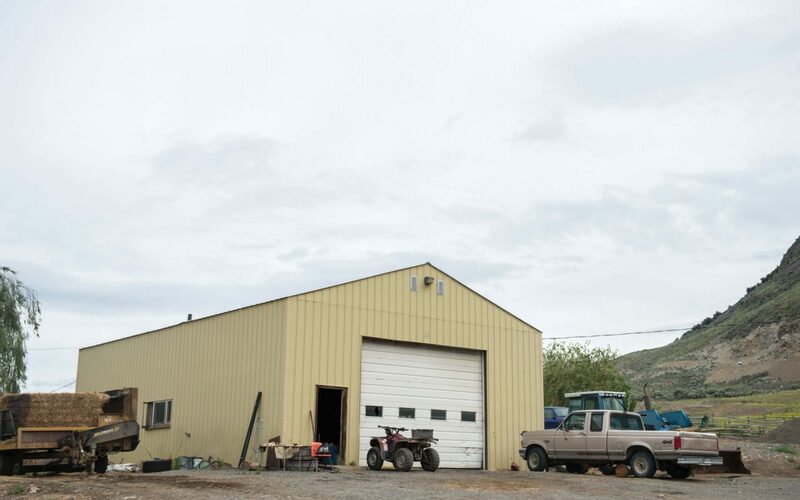 The Bar M Ranch is positioned at the head of the Fraser Canyon and is only a 2.5 hour drive from the Fraser Valley. 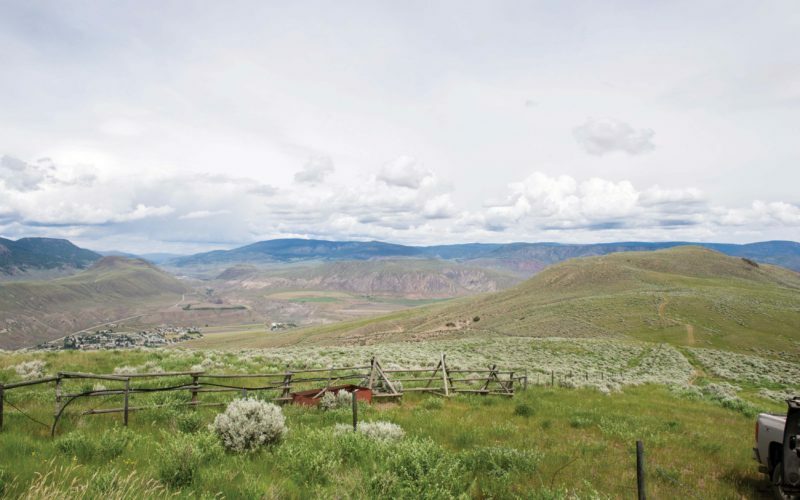 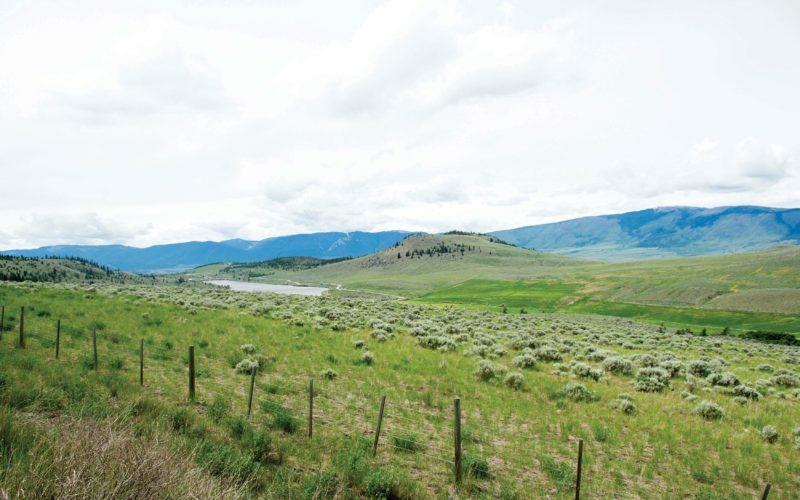 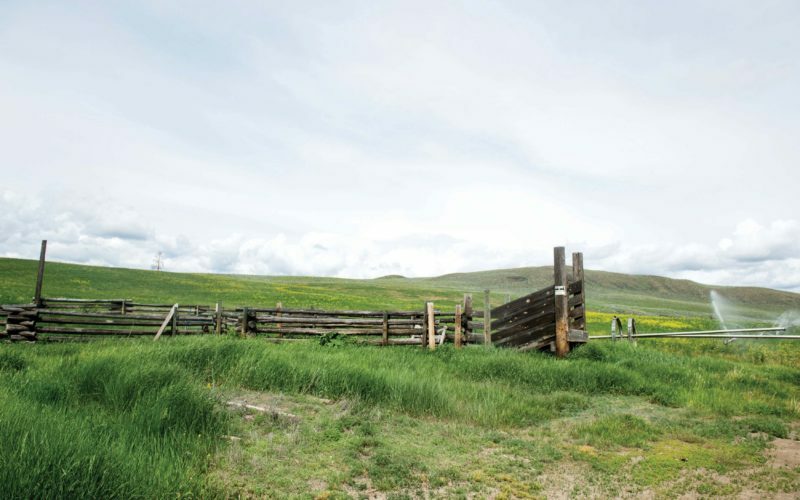 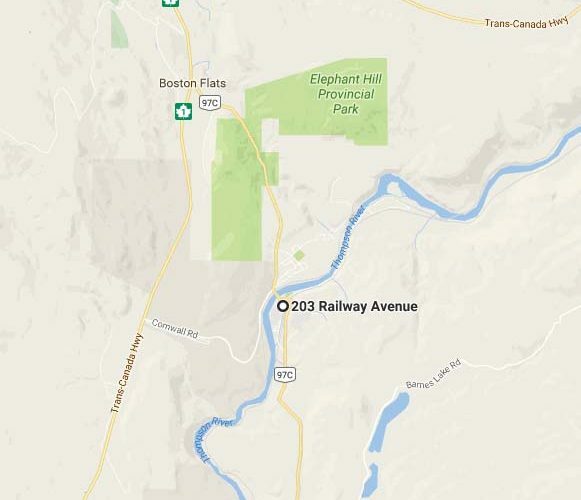 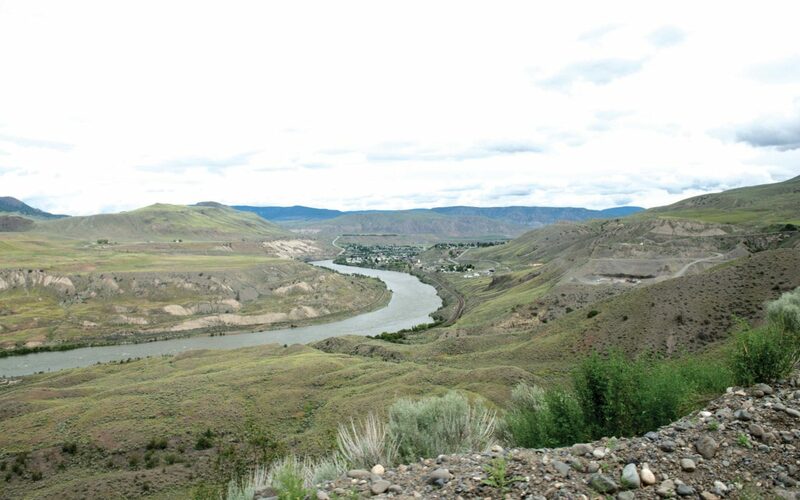 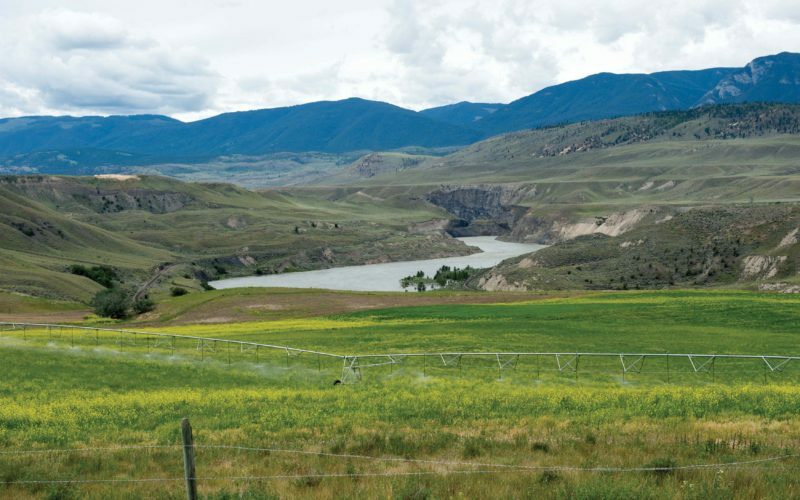 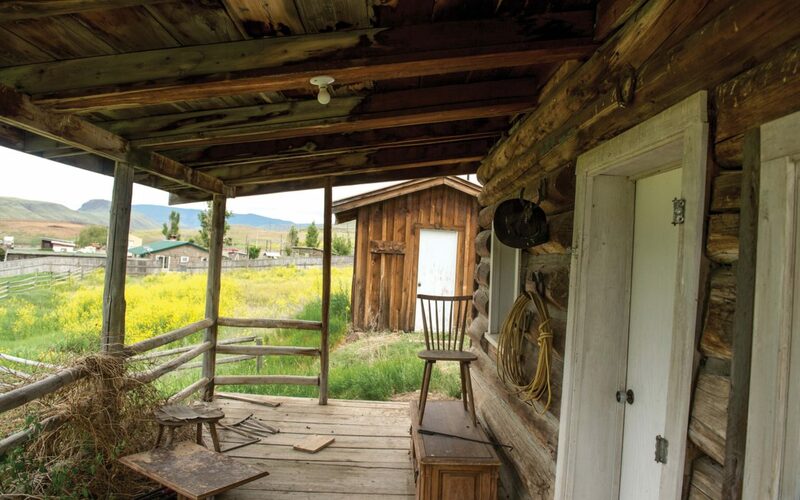 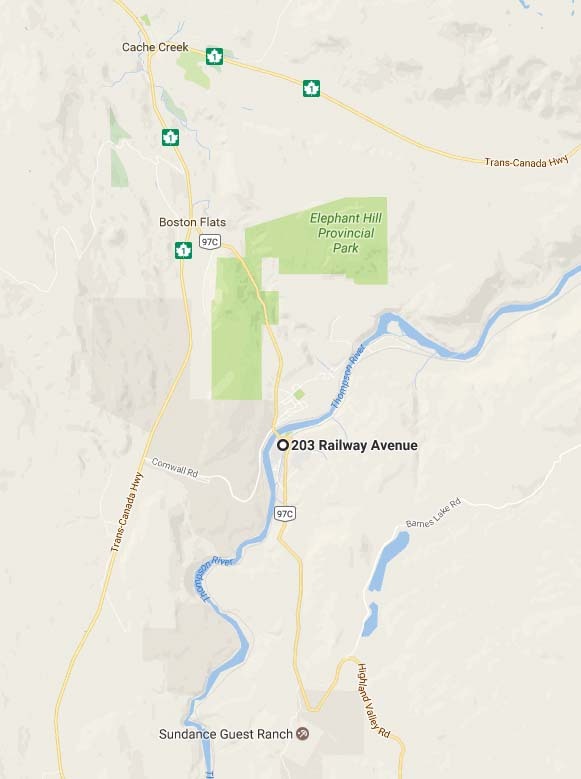 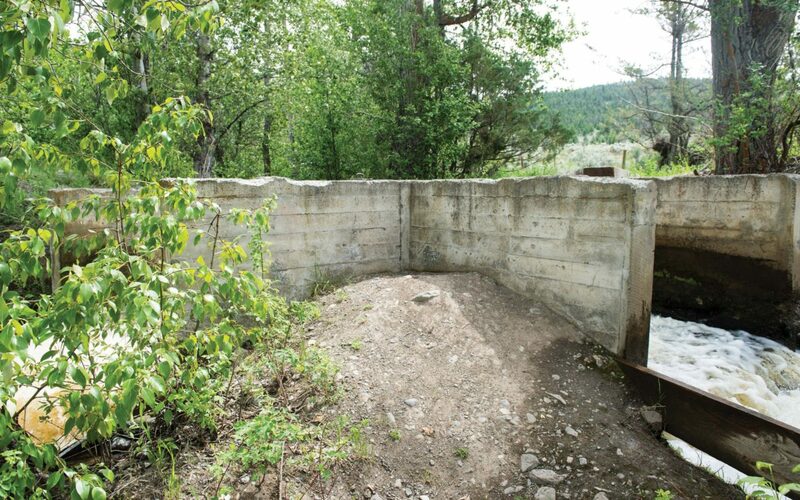 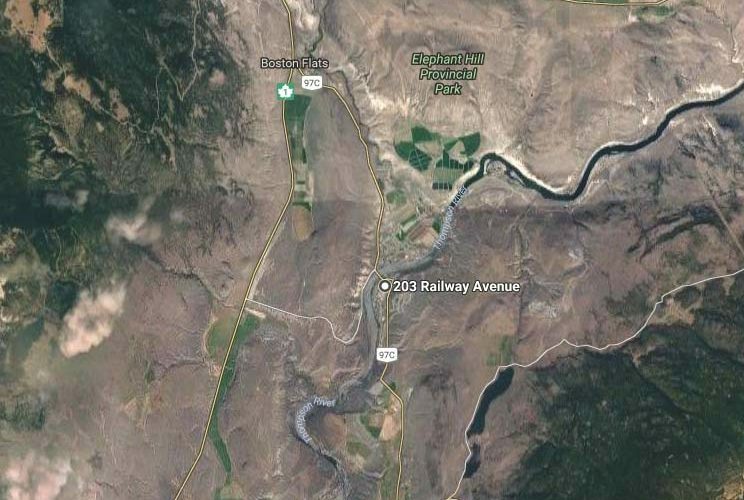 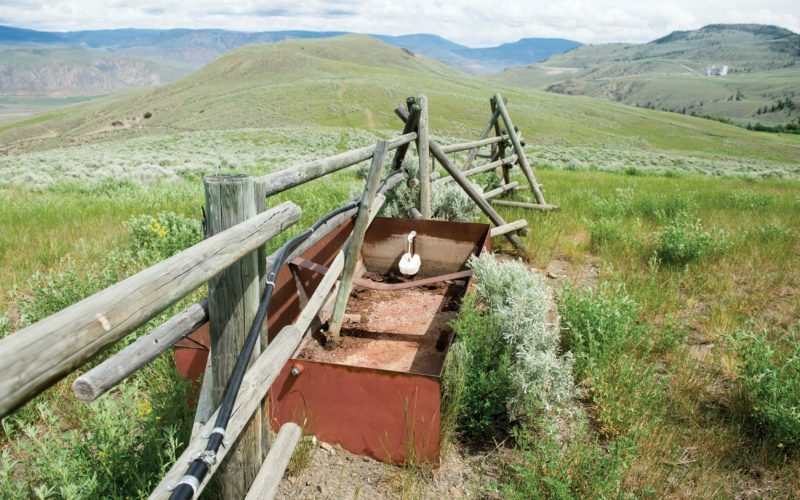 It is located on the village boundary of Ashcroft, and is 1 hour from Kamloops, B.C. 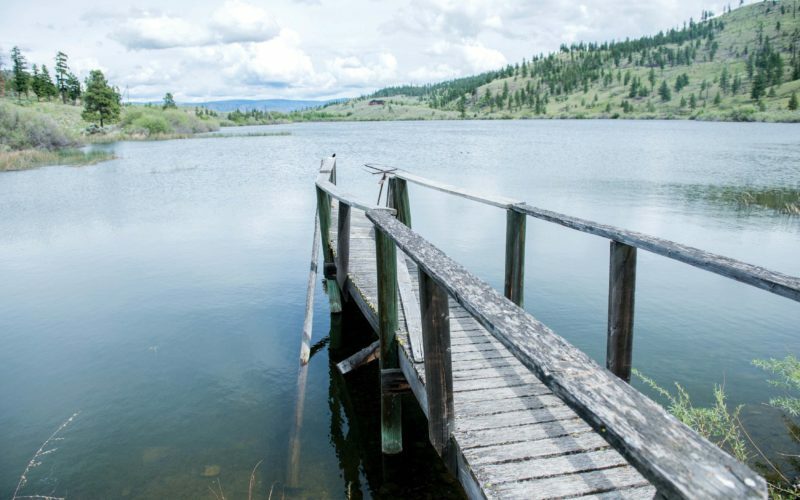 There is easy paved site access from Highway 97C, which continues to Logan Lake. 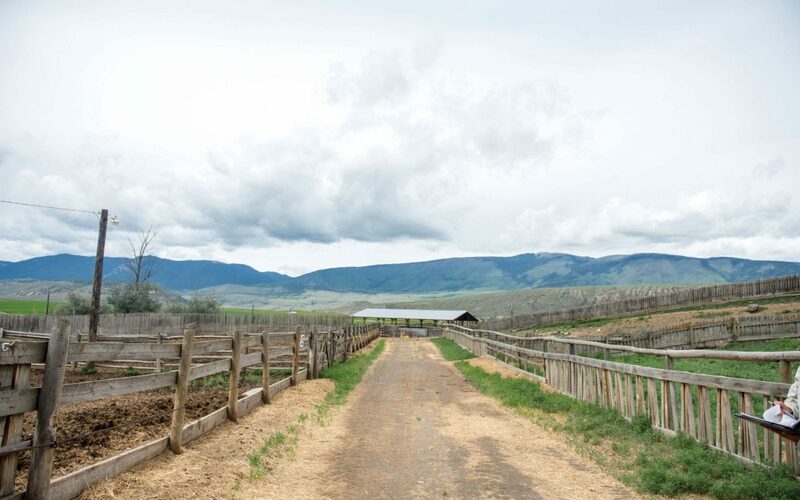 The ranch has limitless fruit and vegetable growing potential with 120 acres certified for organic pasture. 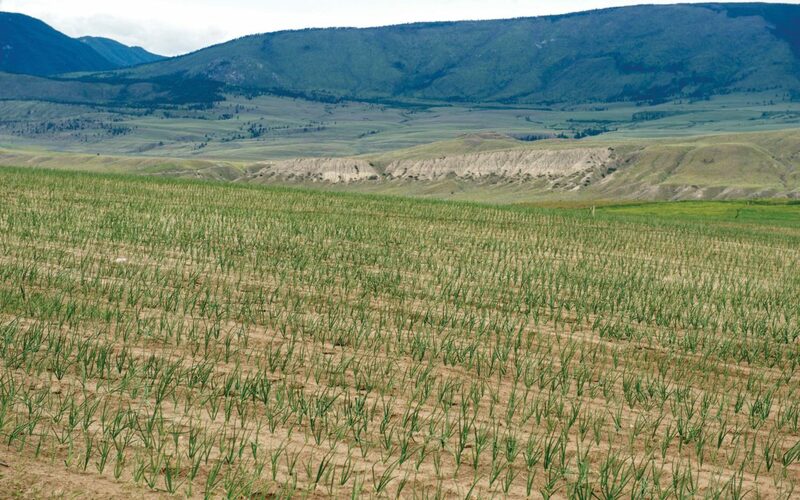 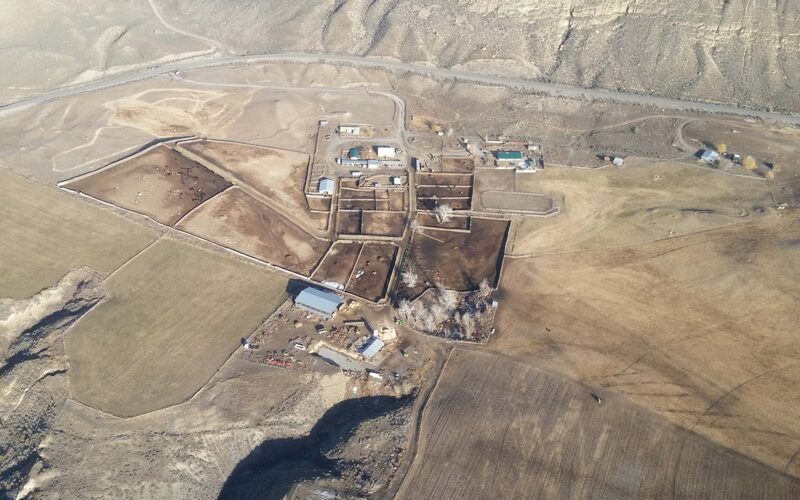 No chemical fertilizers were spread in 2017, and at present time a local Ashcroft vegetable producer has a 50 acre rented plot growing onions and pumpkins. 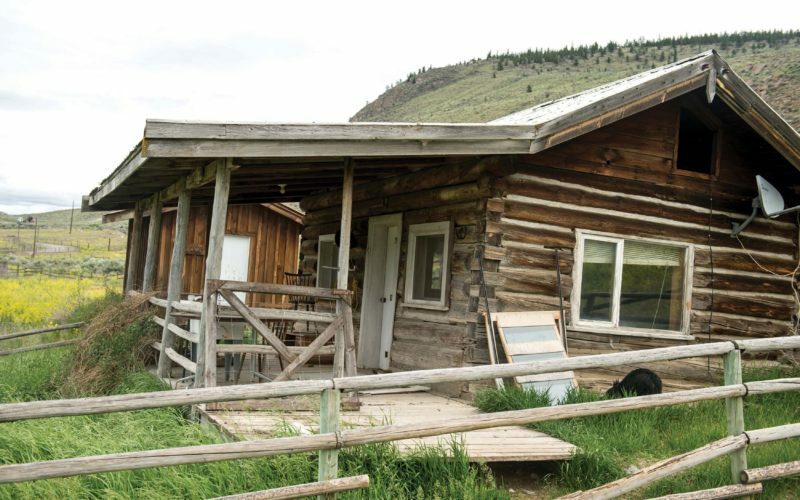 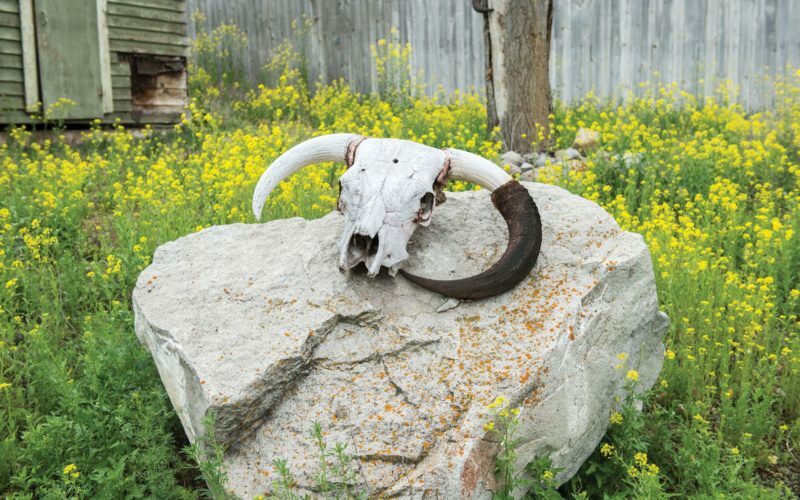 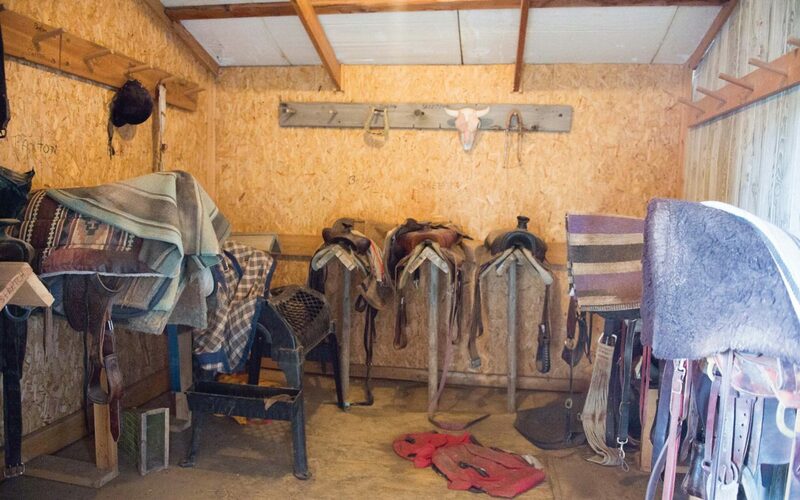 The Bar M Ranch holds an adjacent 150,000acre, long season range licence (March 25th to November 25th). 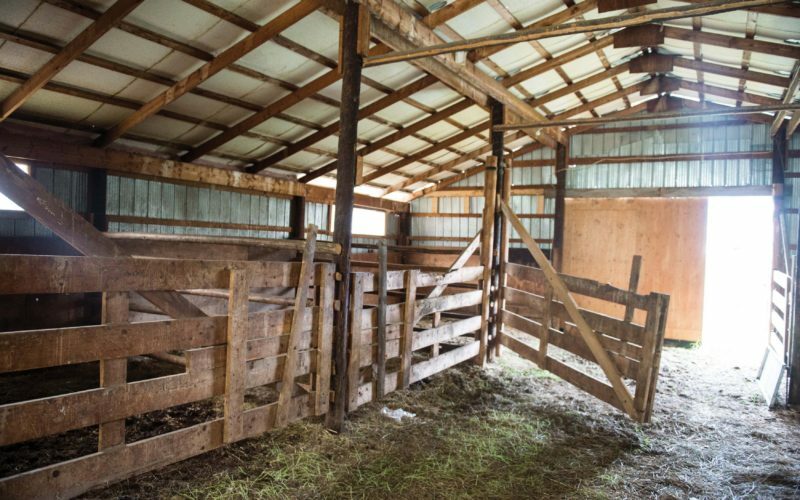 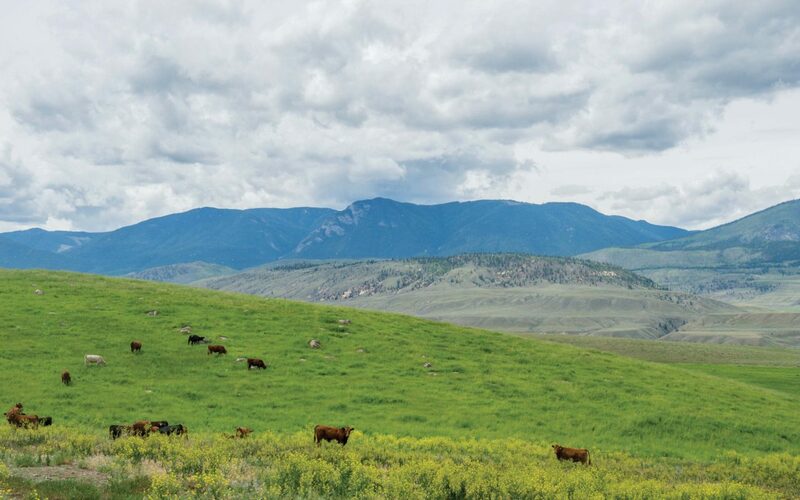 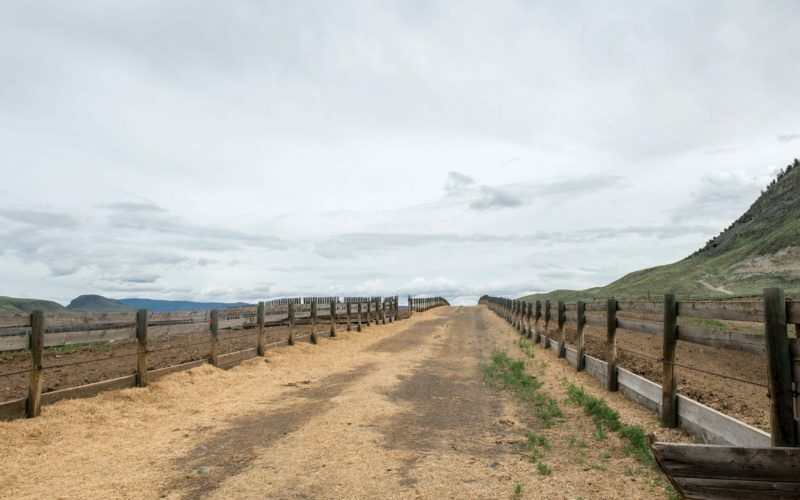 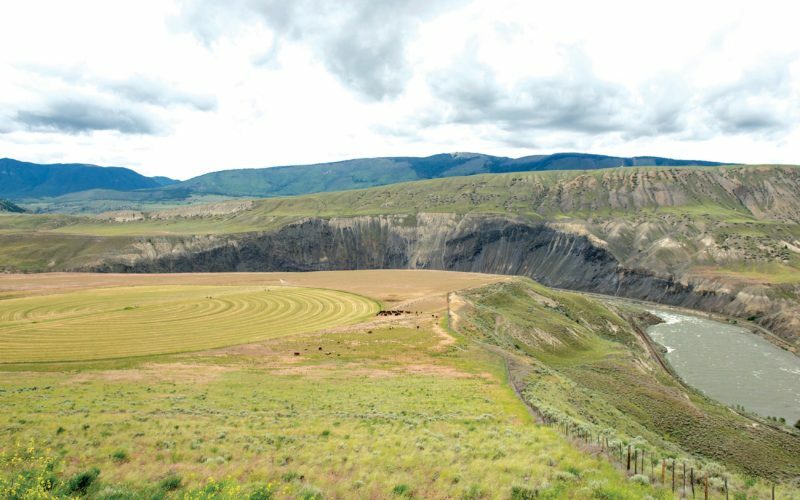 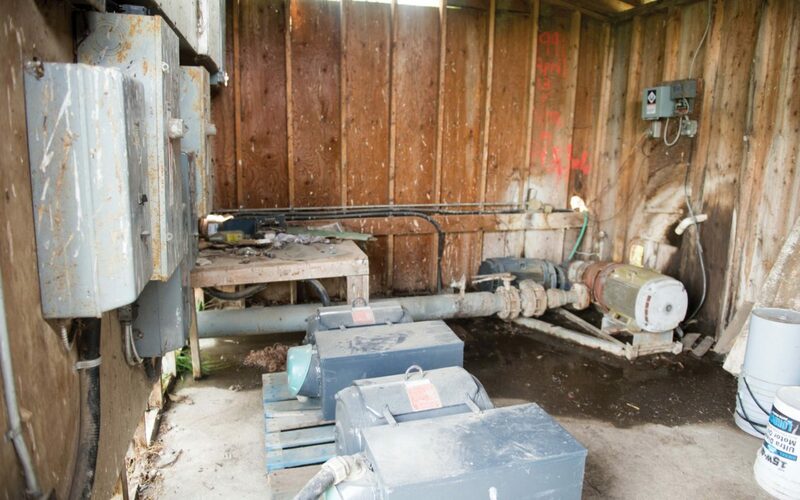 This is exceptional range, and when factored with ample hay production,120 acres irrigated grazing and 90 day feeding requirements, it makes the Bar M Ranch one of the most efficient money making cow/calf operations in the province. 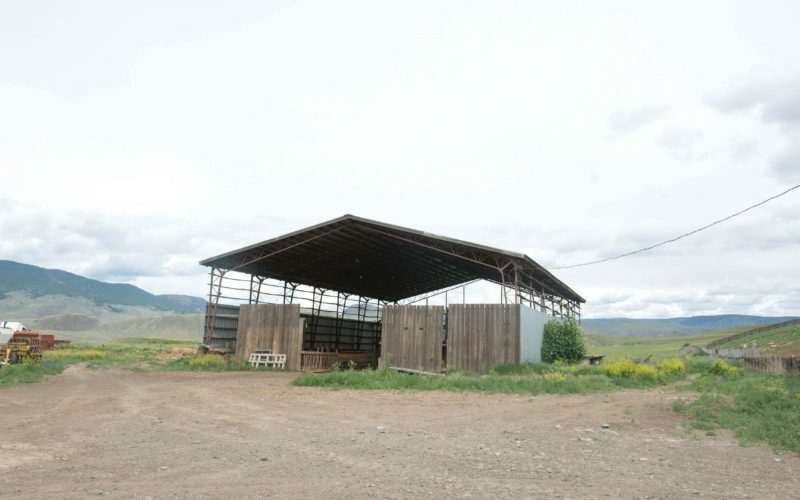 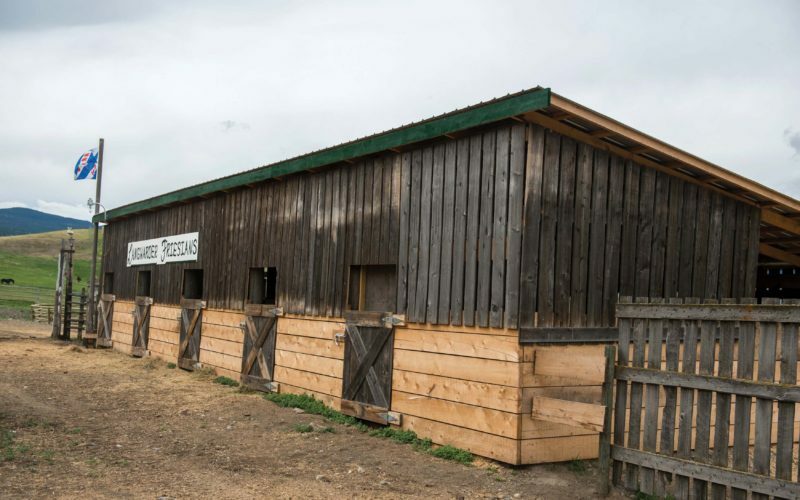 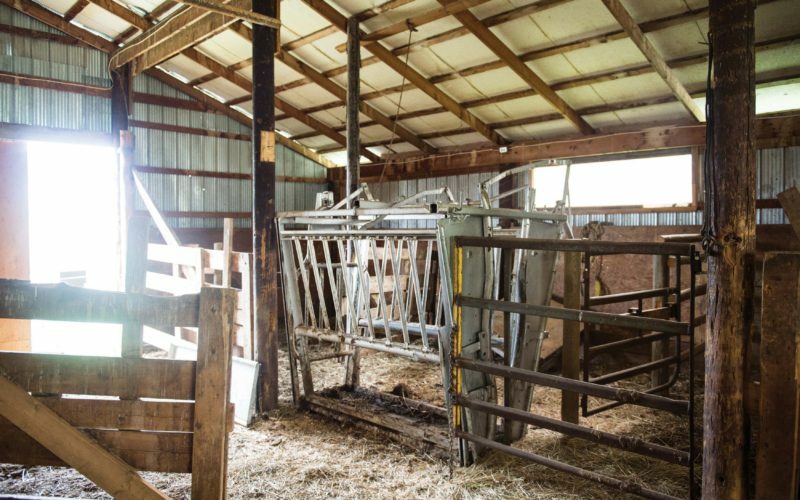 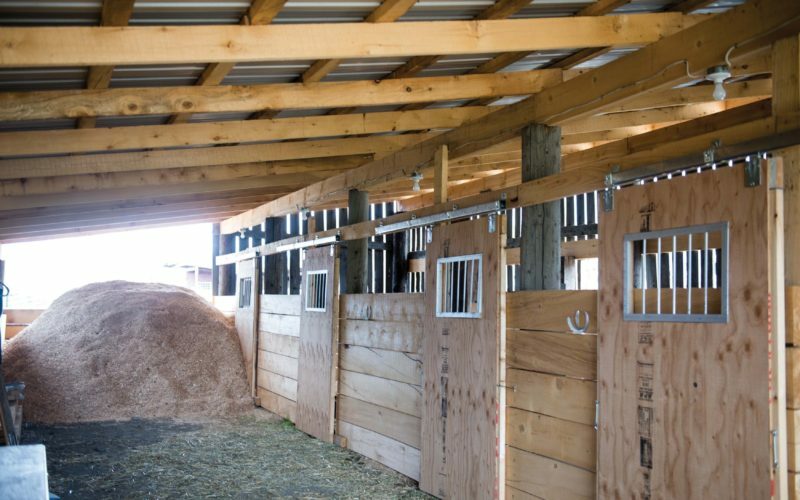 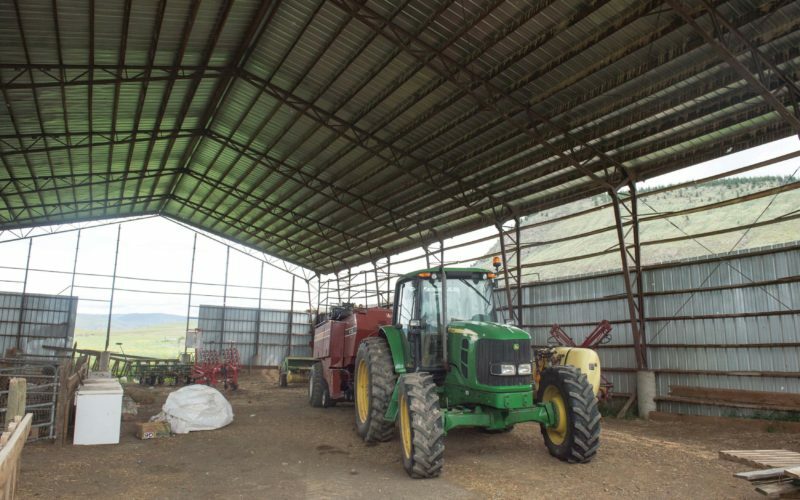 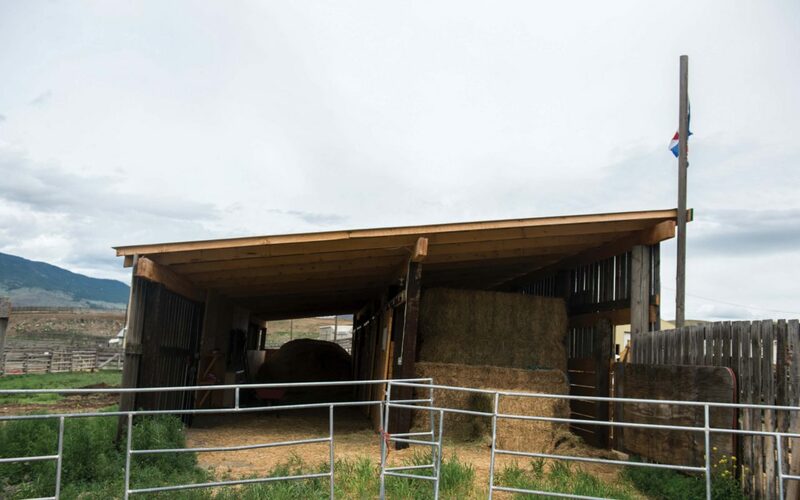 The strategically designed 1,000 head feedlot with pens, waterers, calving barn and hydraulic squeeze allow for labour saving cattle feeding and handling. 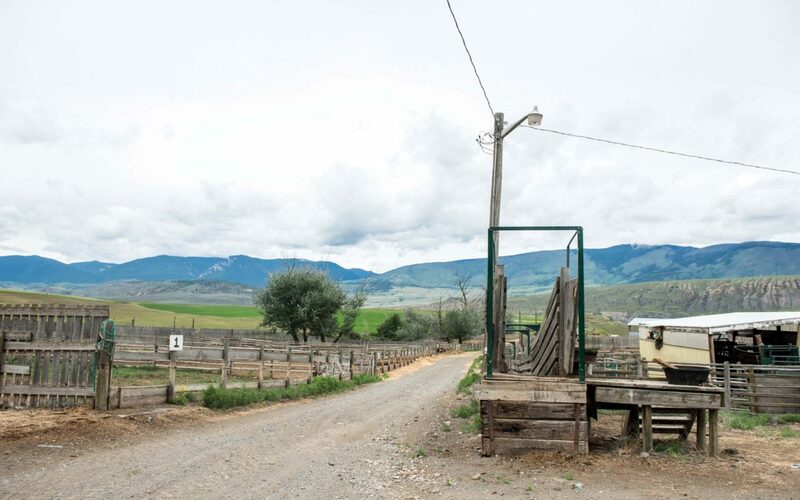 Mr. Mike Edgar, (employee of 12 years) can be hired to stay on with his working ranch knowledge. 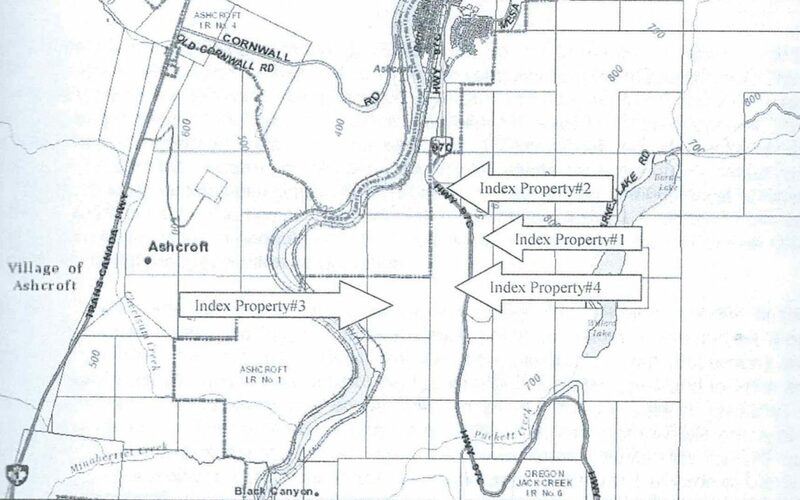 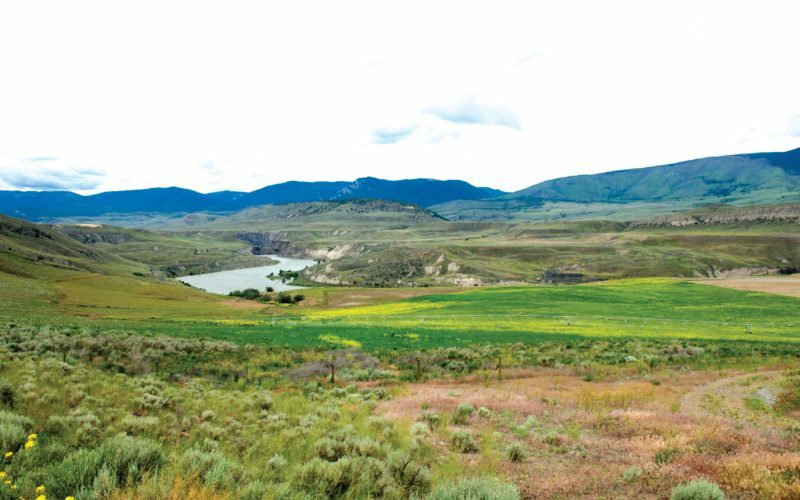 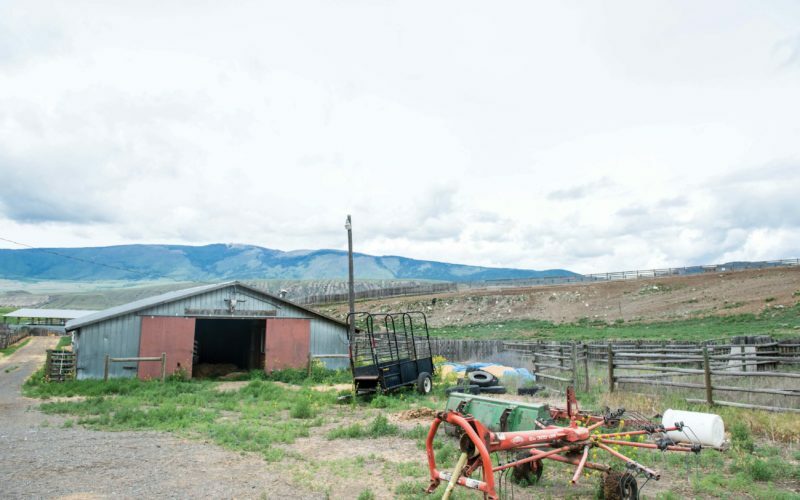 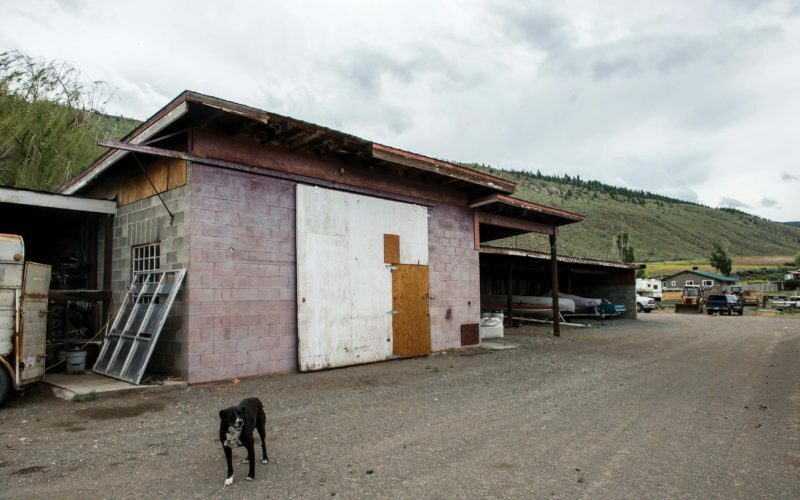 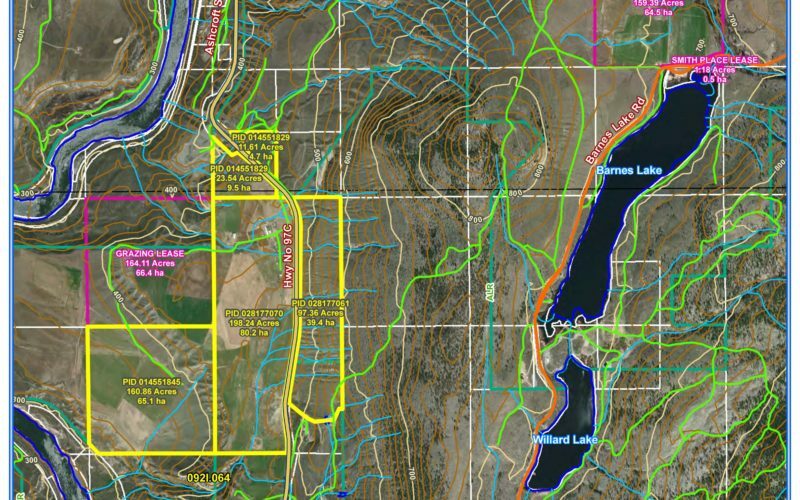 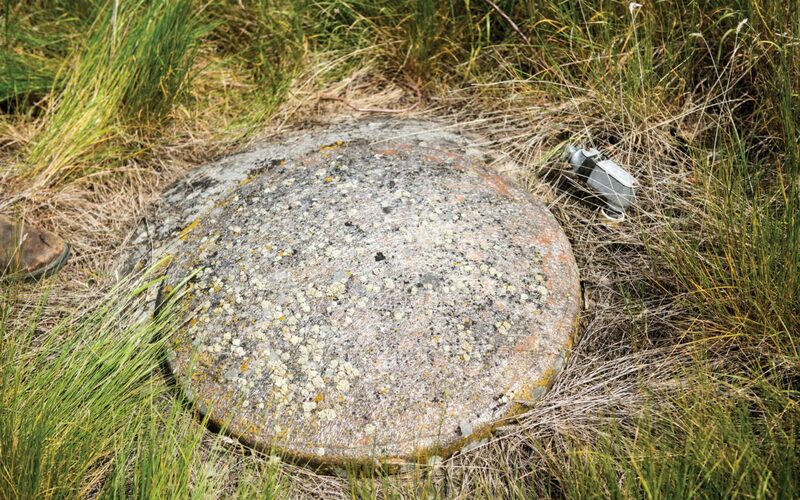 There are large gravel deposits on the property, which have yet to be extracted and a proposed surveyed subdivision with four, 23 acre lots that have the most amazing panoramic view building sites. 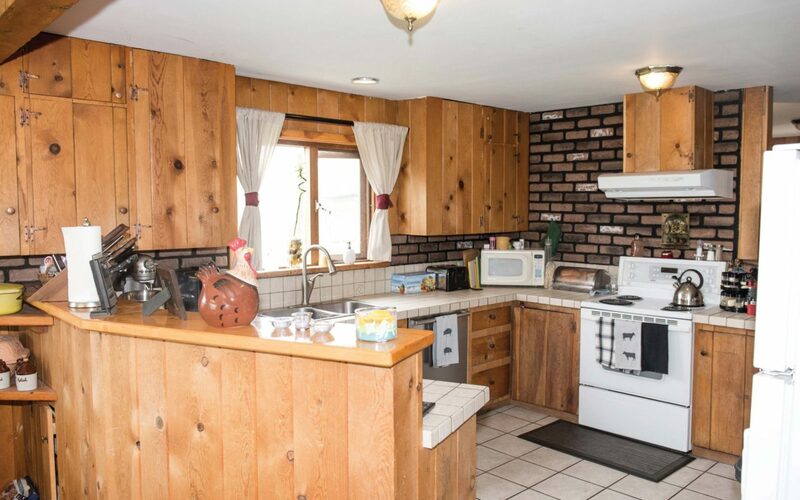 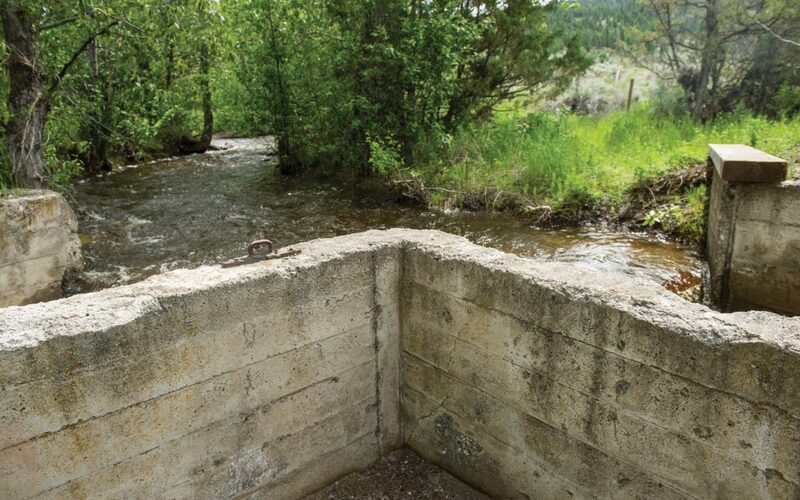 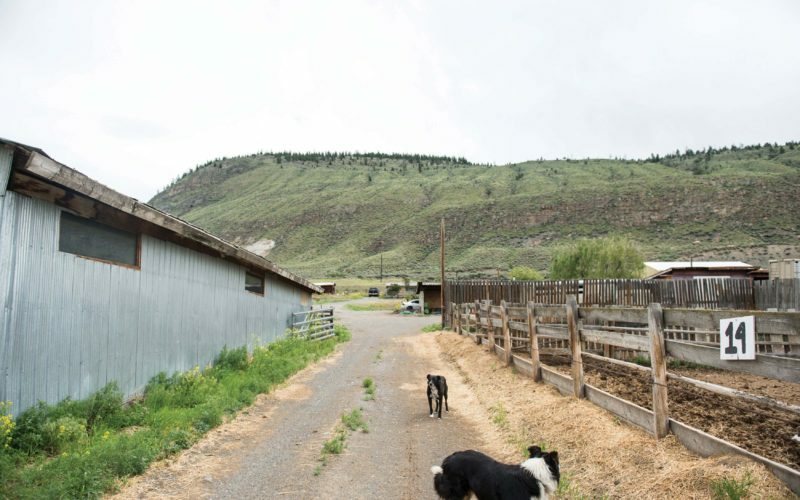 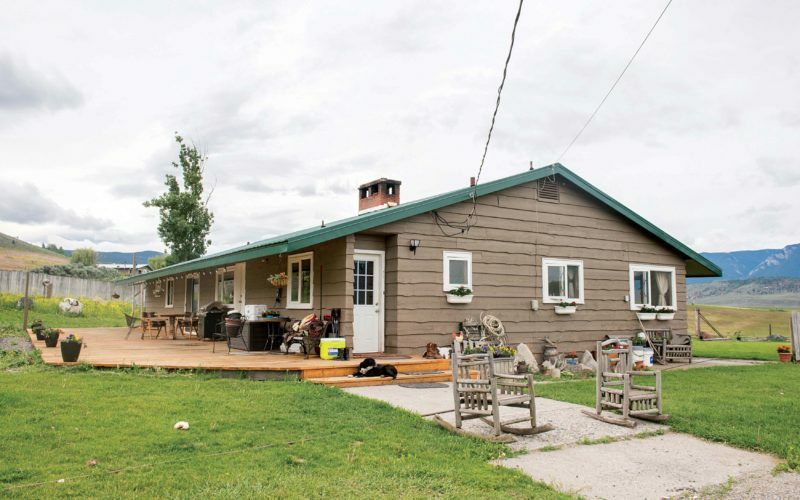 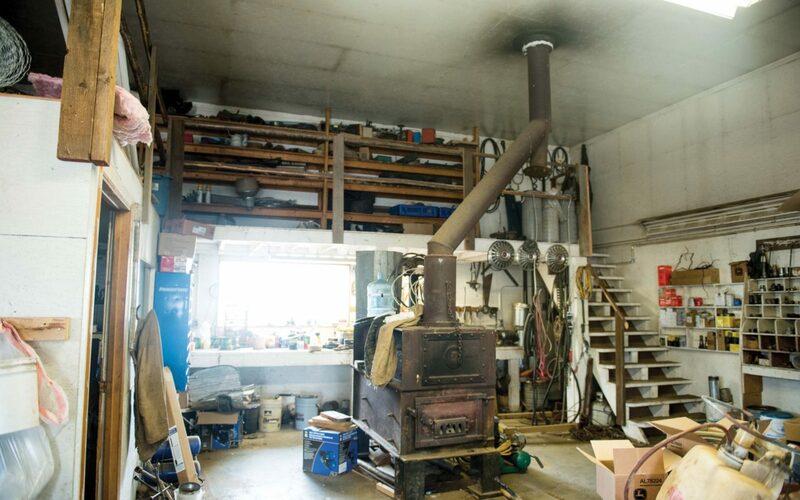 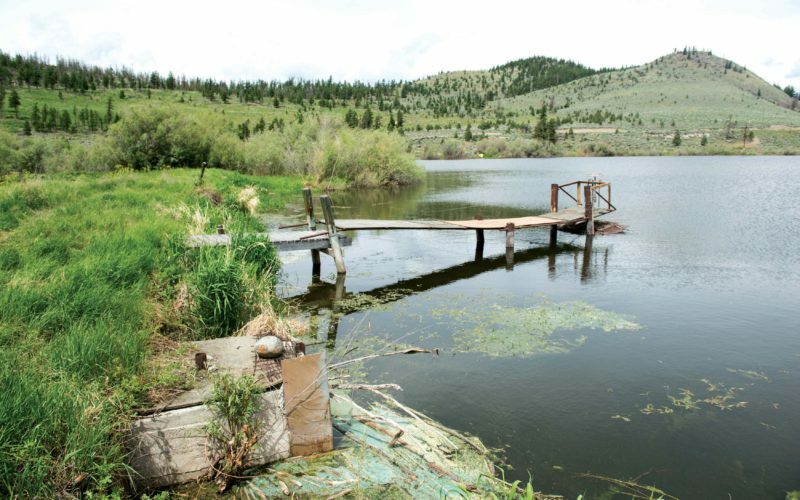 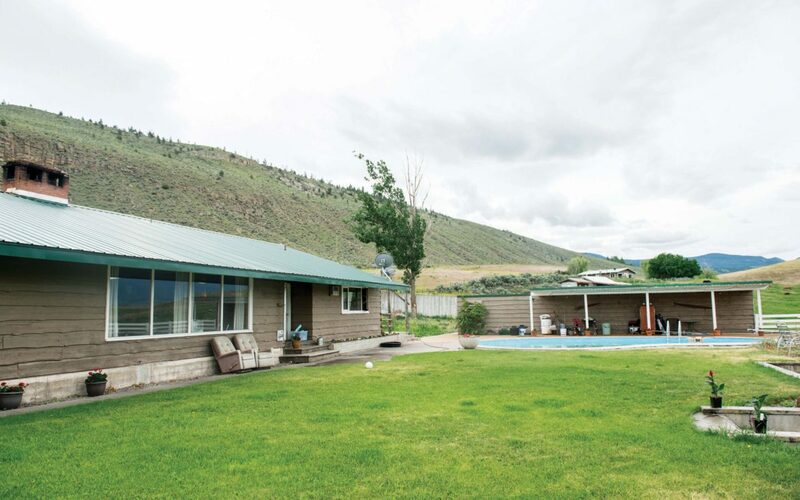 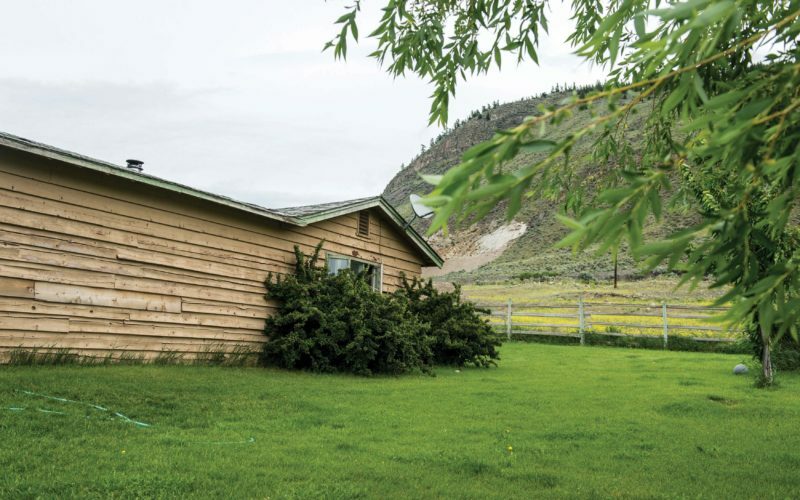 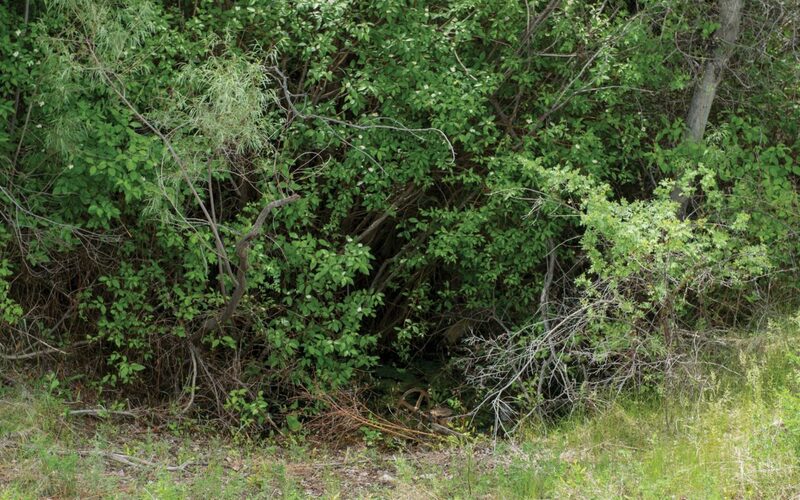 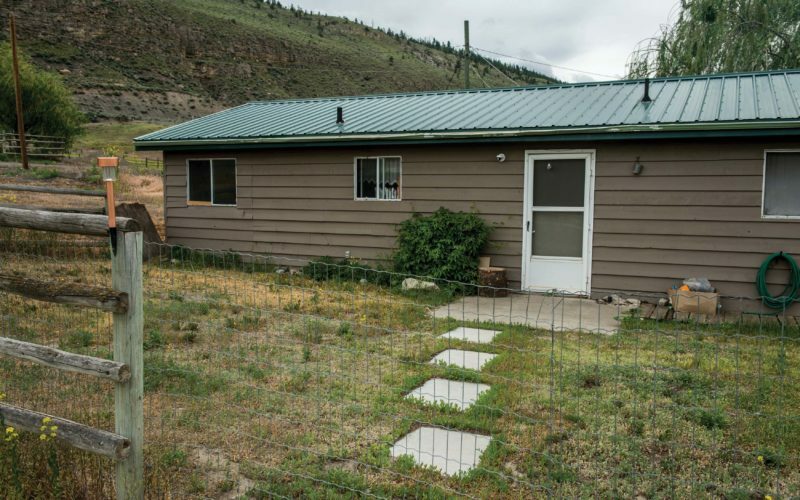 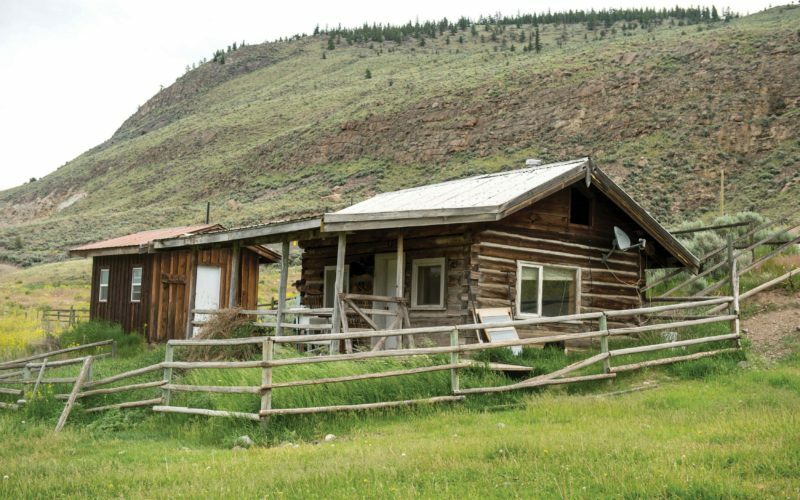 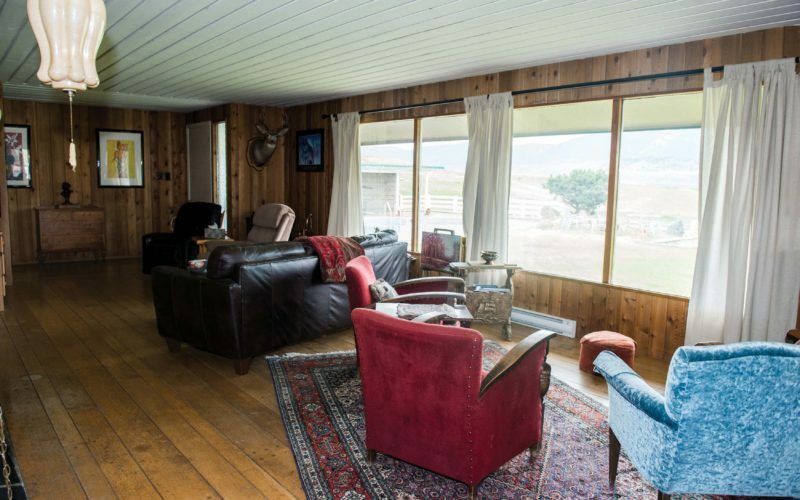 The ranch has private Thompson River beach access and world famous fishing within minutes of the main ranch house, one of four houses on the property. 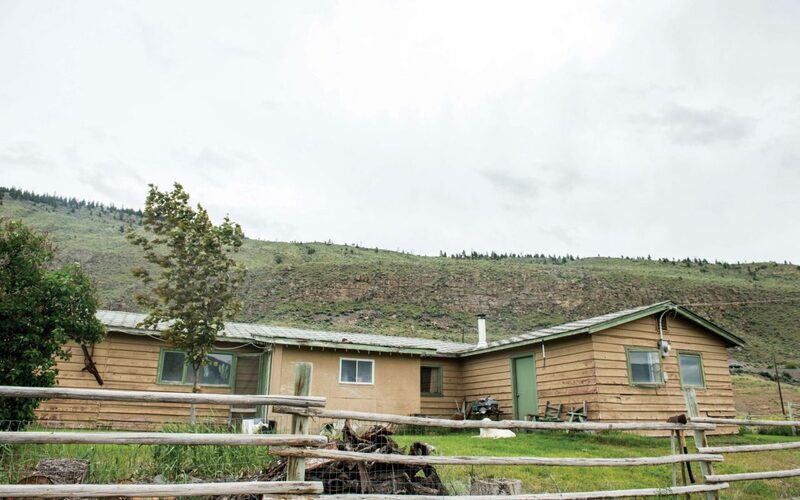 Two of the houses currently produce rental revenue. 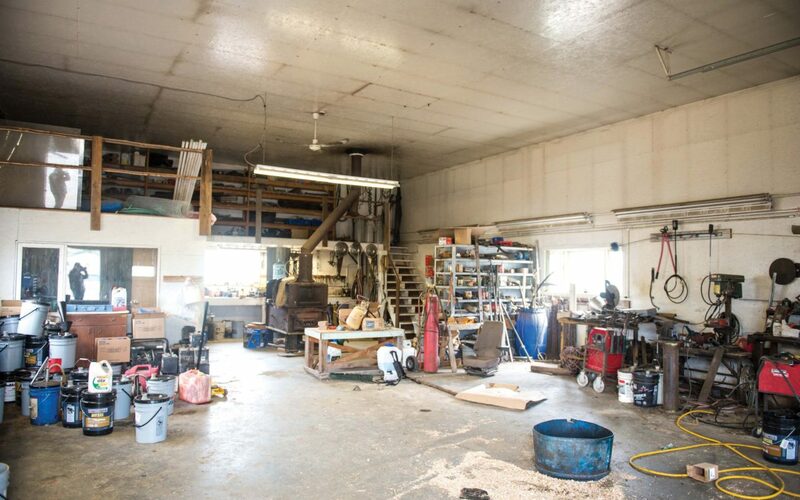 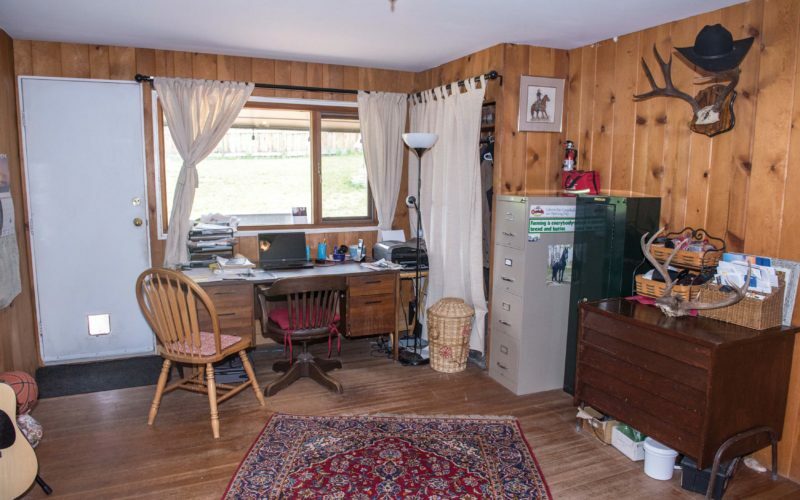 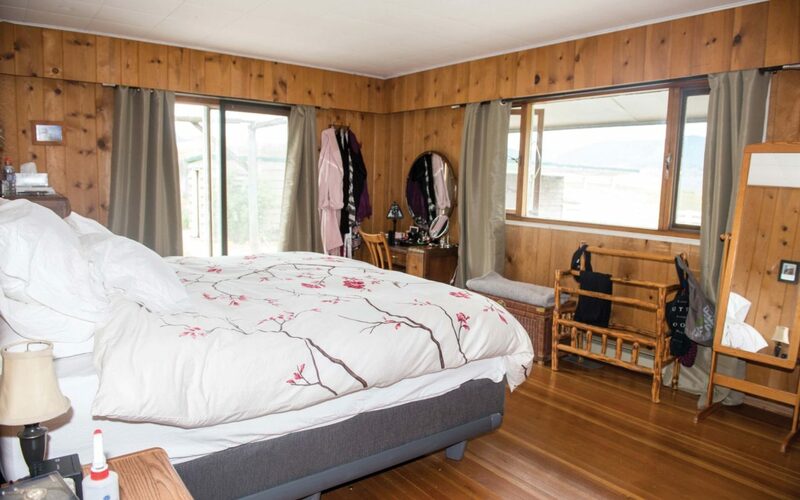 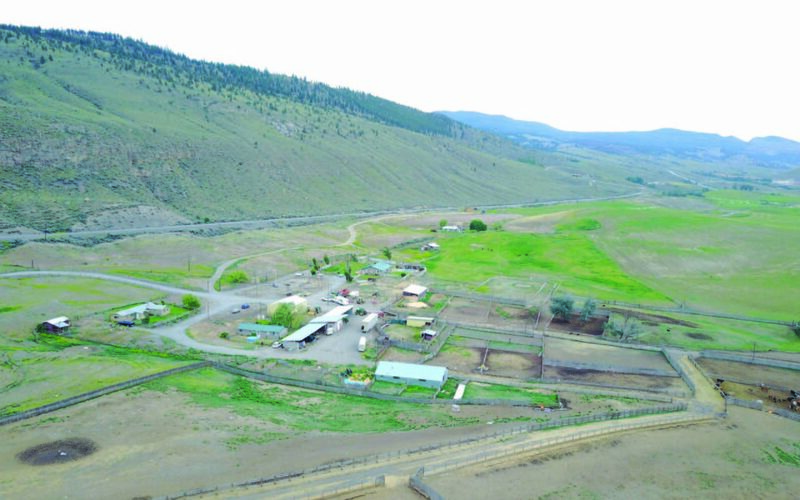 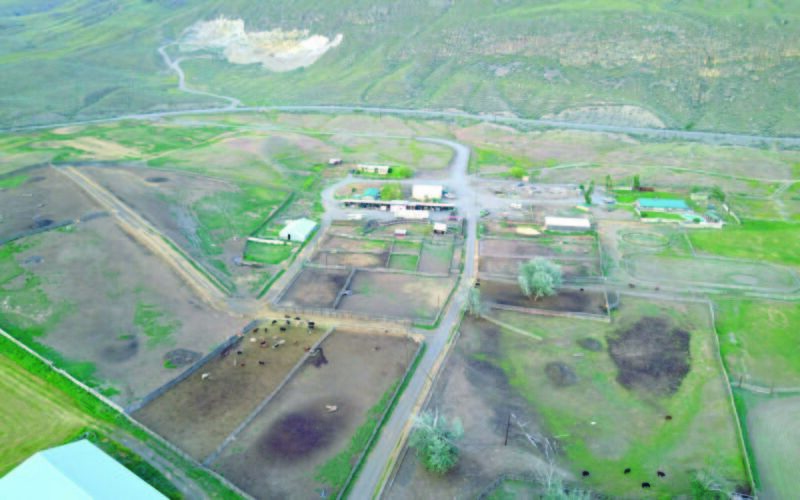 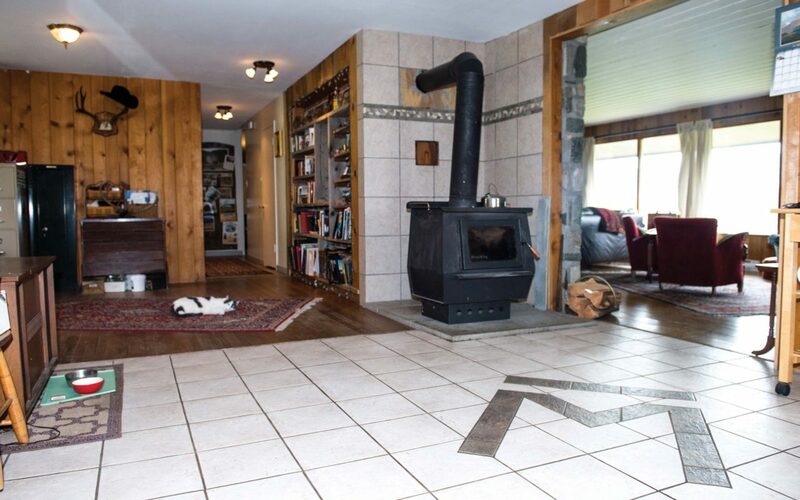 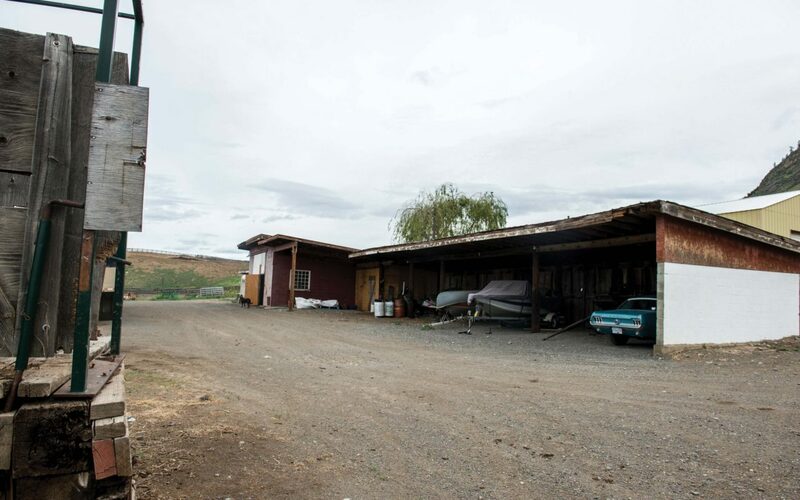 Zoned RL-1, this property has further business potential to be used for: large scale vegetable farming, orchard, winery, cidery, micro-brewery, open land recreation, equine riding stables,rustic guest ranch, bed and breakfast, golf course, pet breeding /kennel or an aircraft landing field. 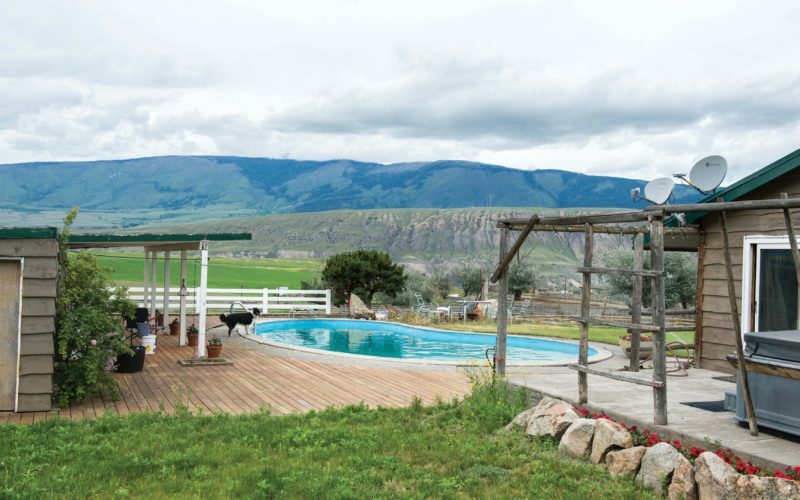 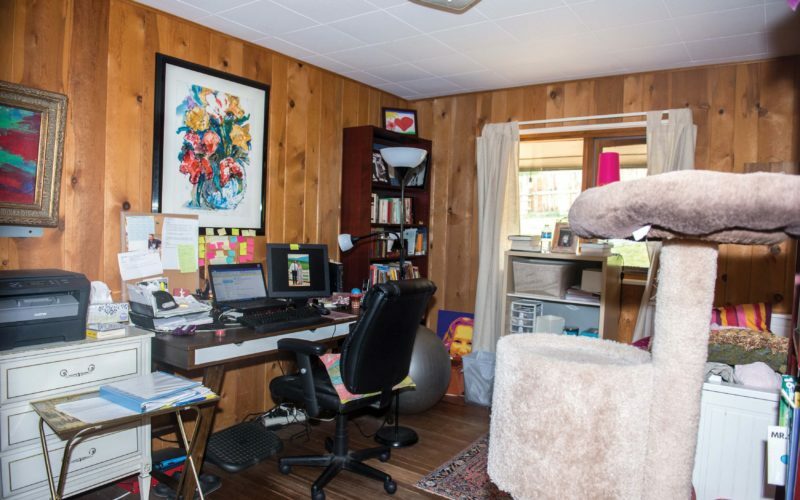 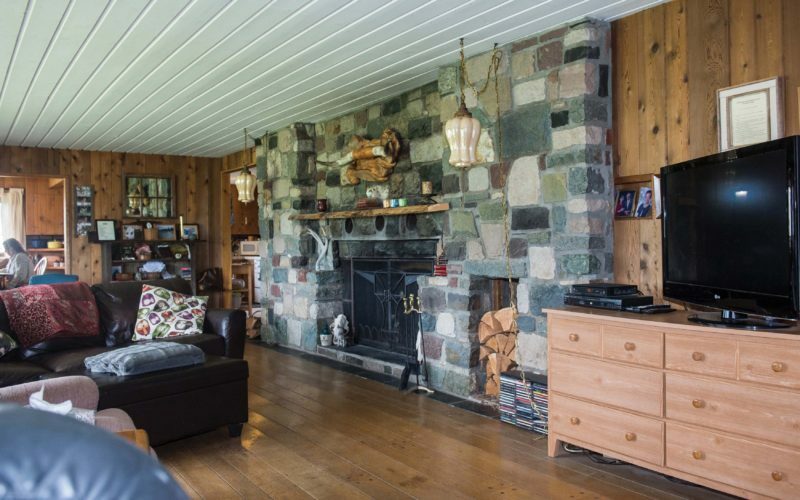 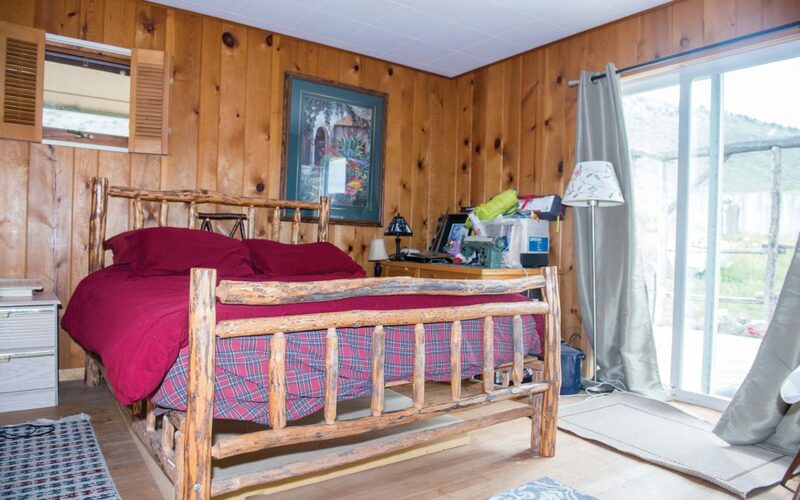 You are invited to entertain the limitless potential of this one-of-a-kind multi-revenue property. 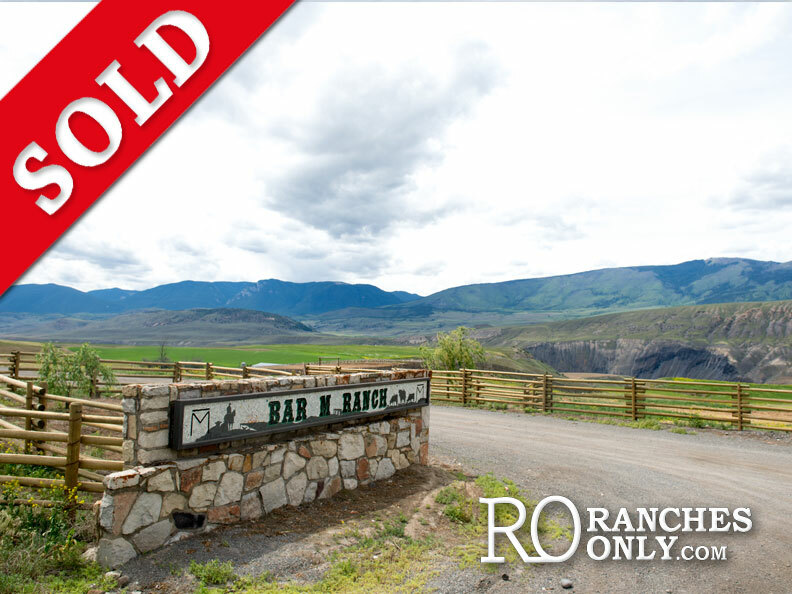 Contact Tim Terepocki at today to receive more information about the one-of-a kind Bar M Ranch.